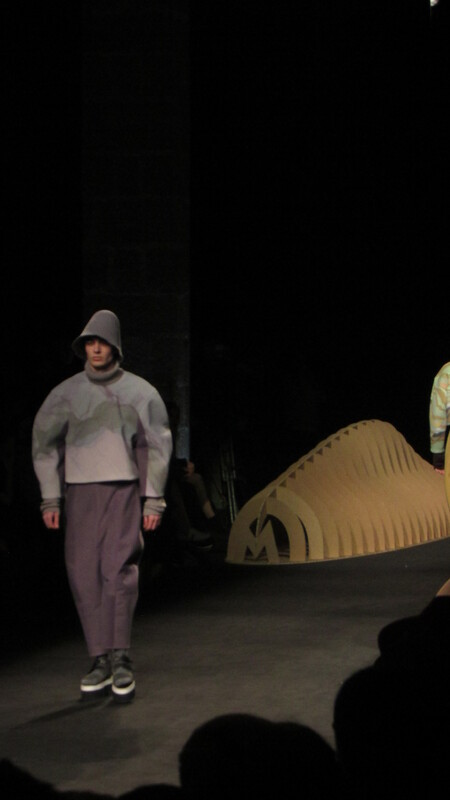 Modafad is a fashion association based in Barcelona, which helps local designers to promote and publicize their work in the fashion world. 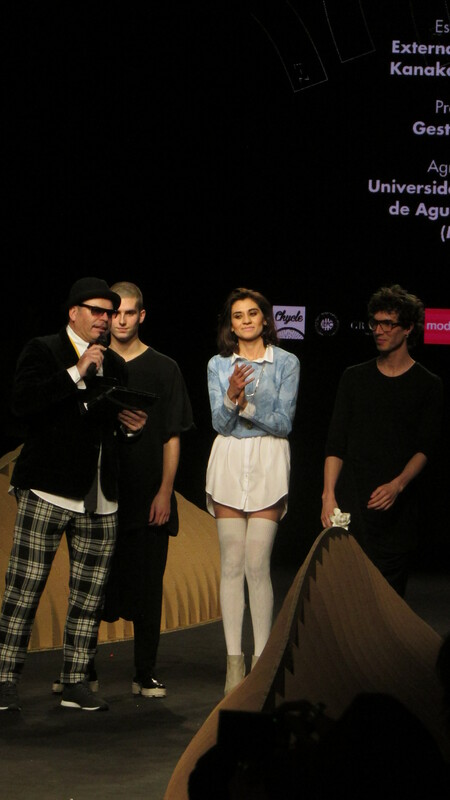 It collaborates with young talents, international design schools, specialized media and the industry. 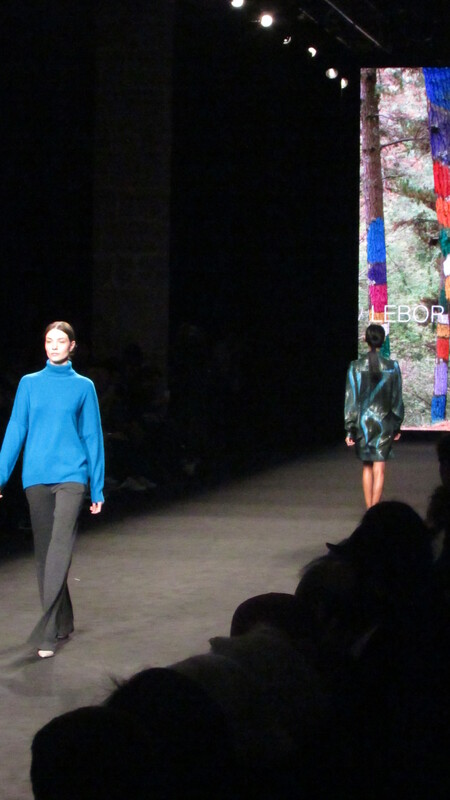 The goal is to find the best emerging fashion designers. 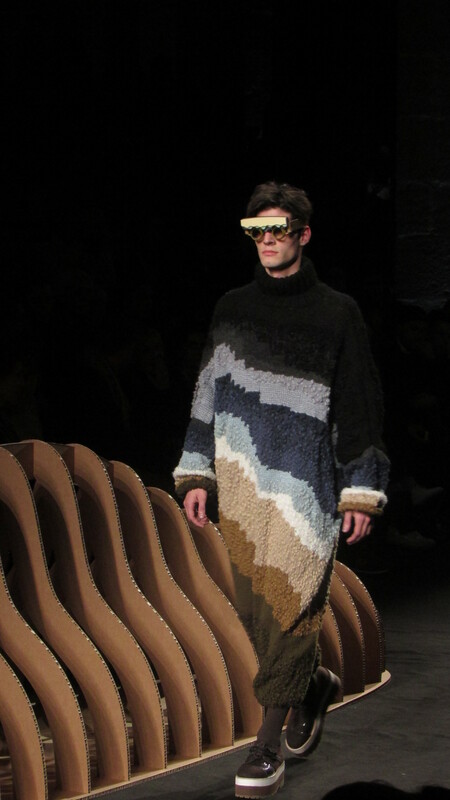 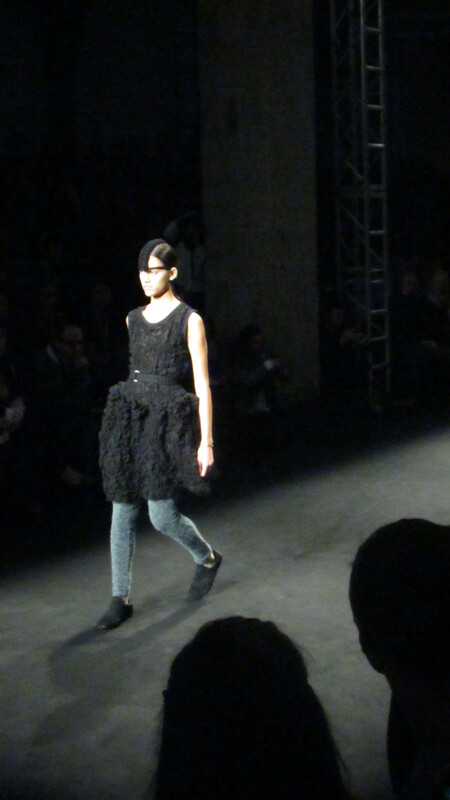 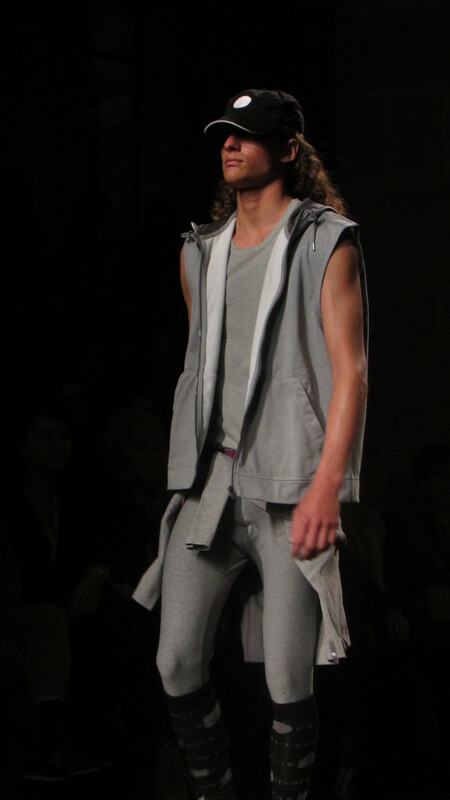 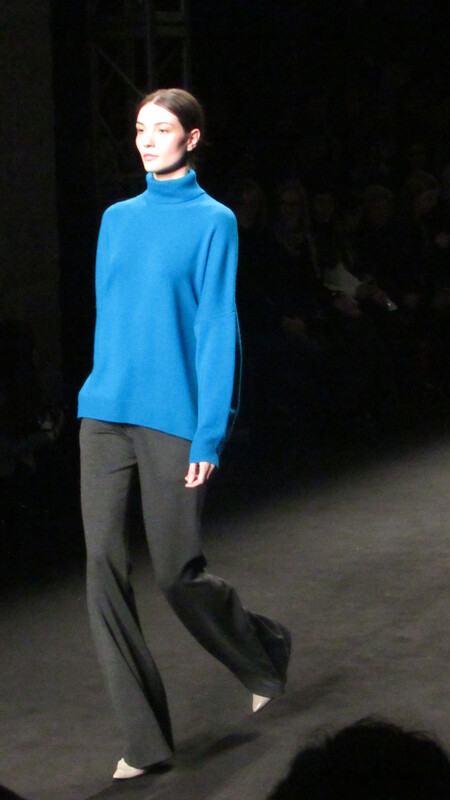 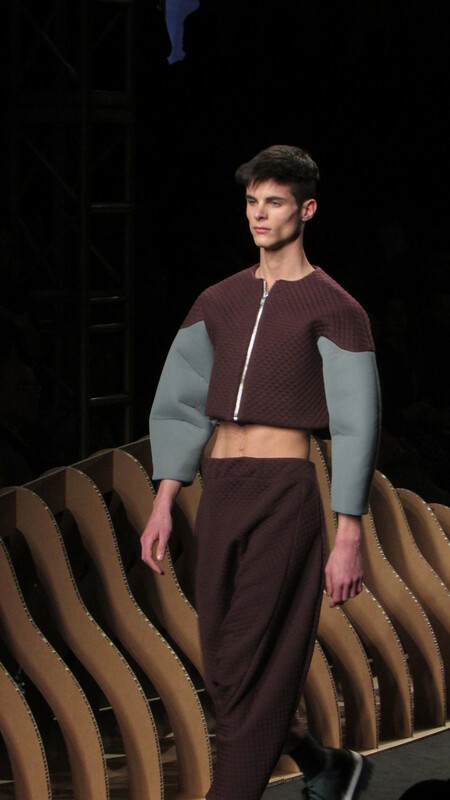 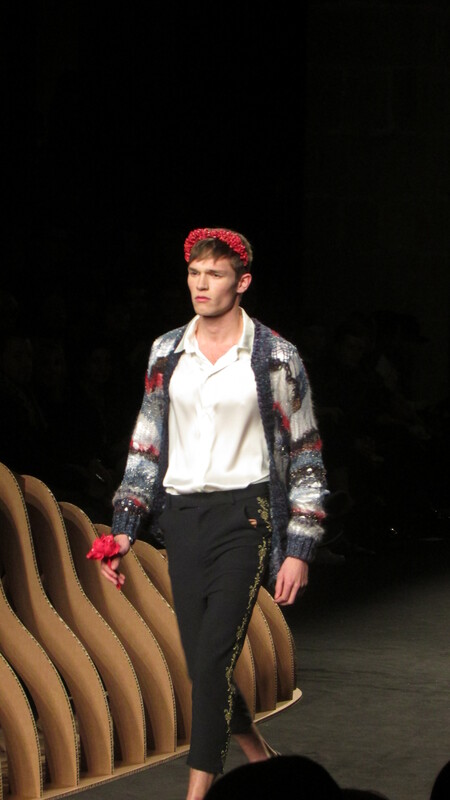 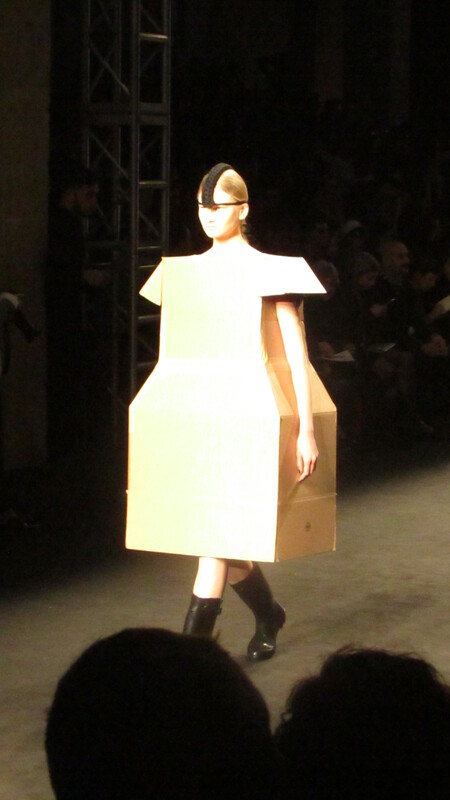 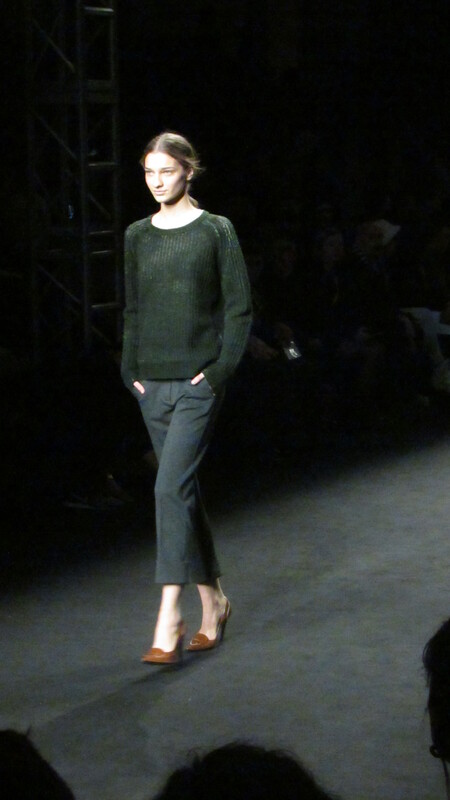 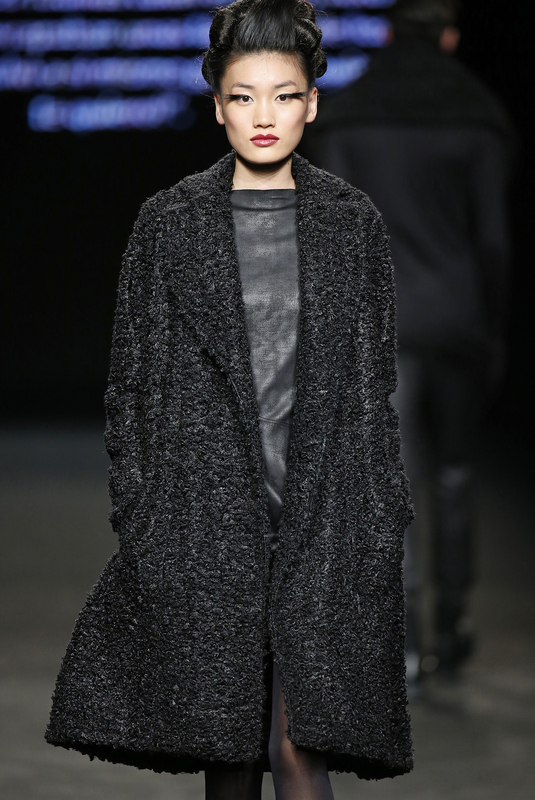 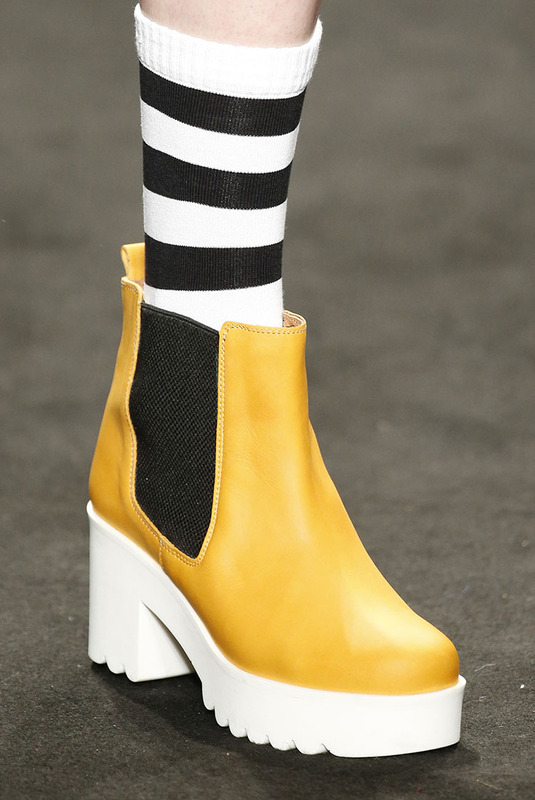 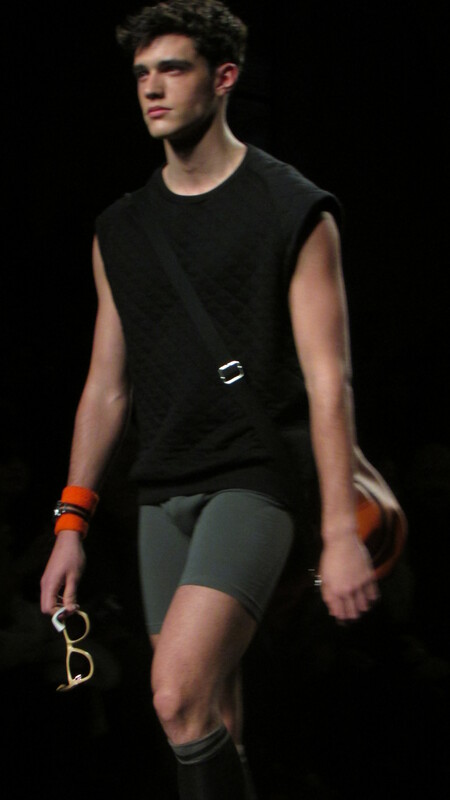 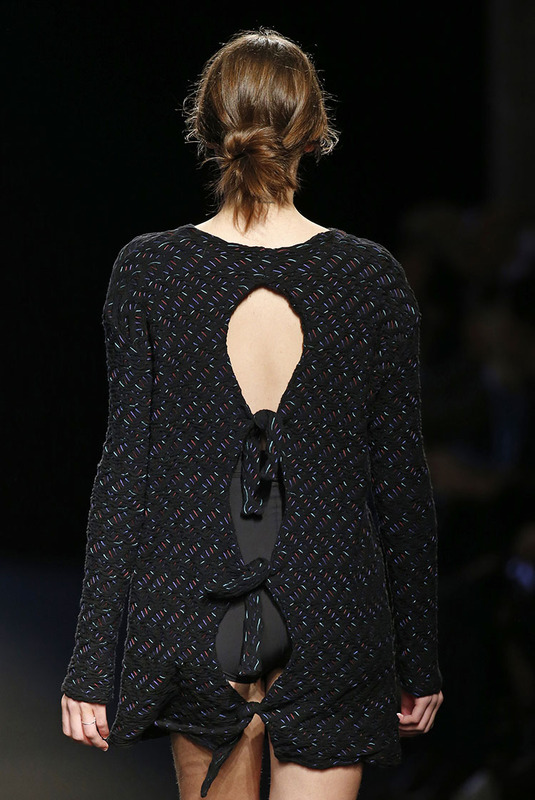 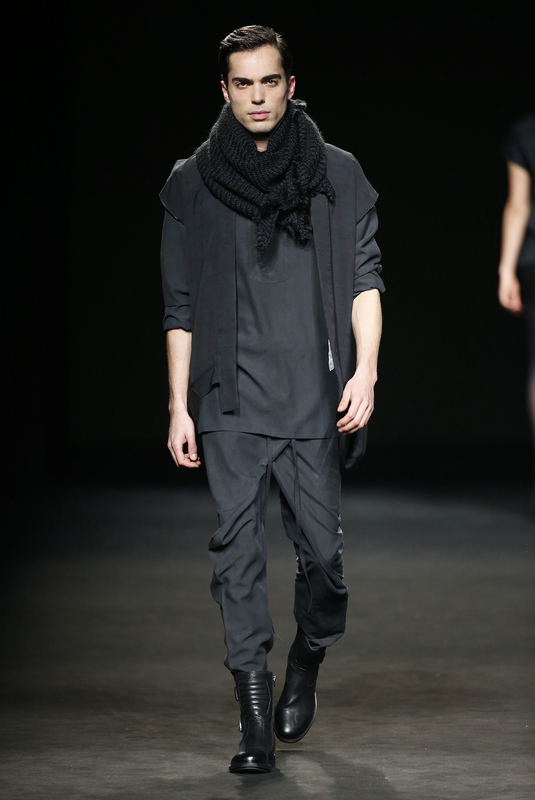 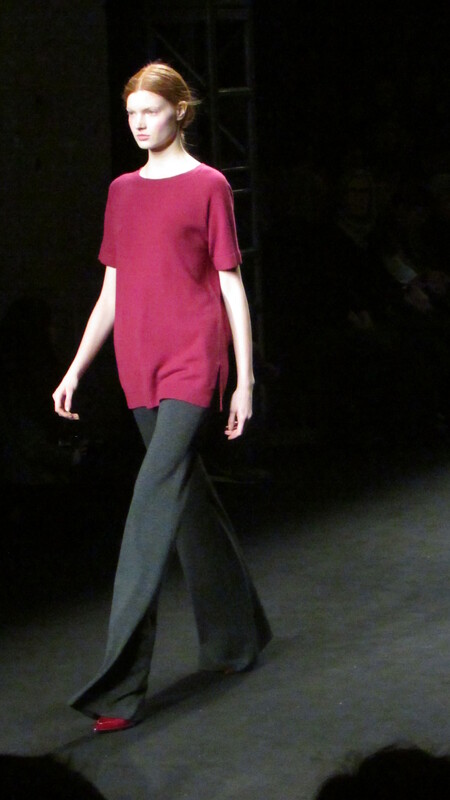 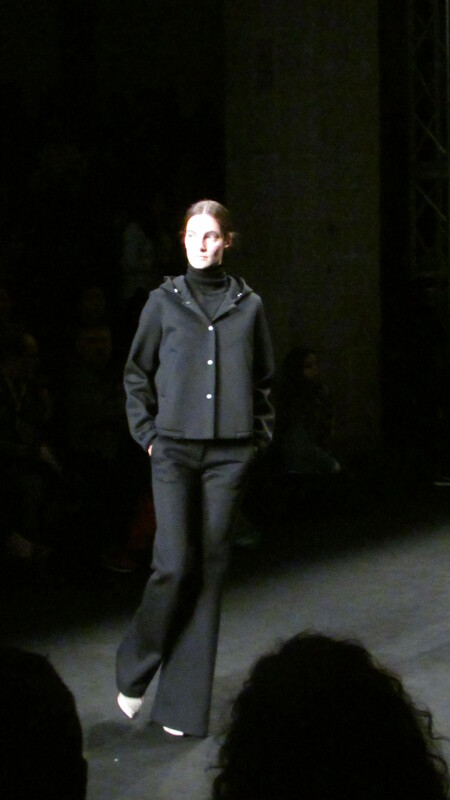 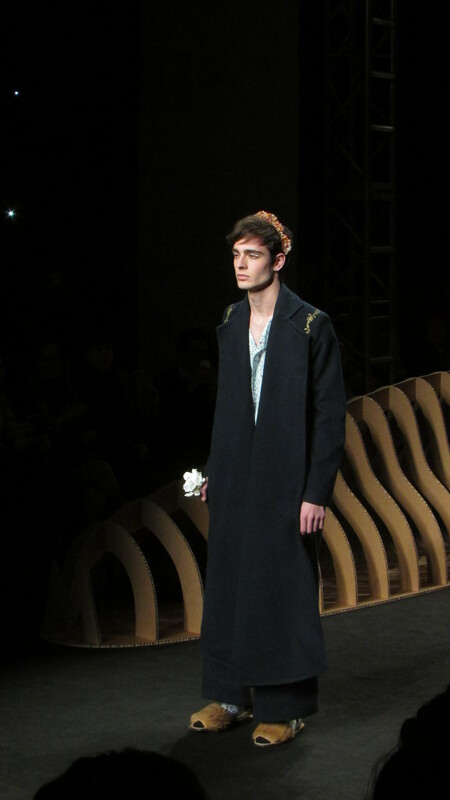 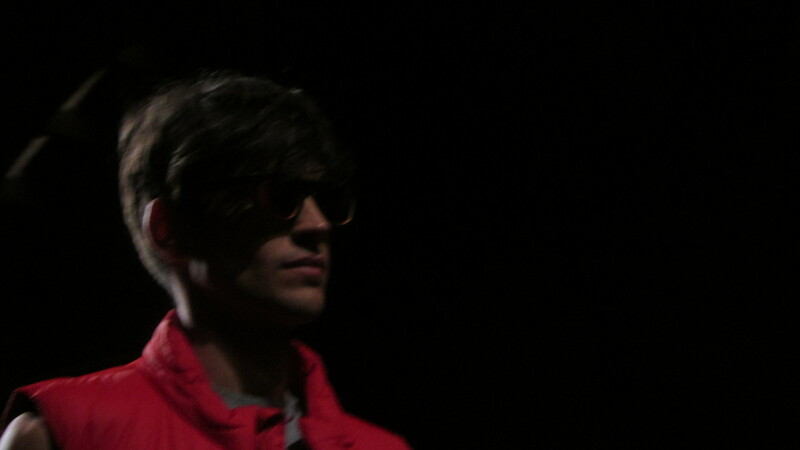 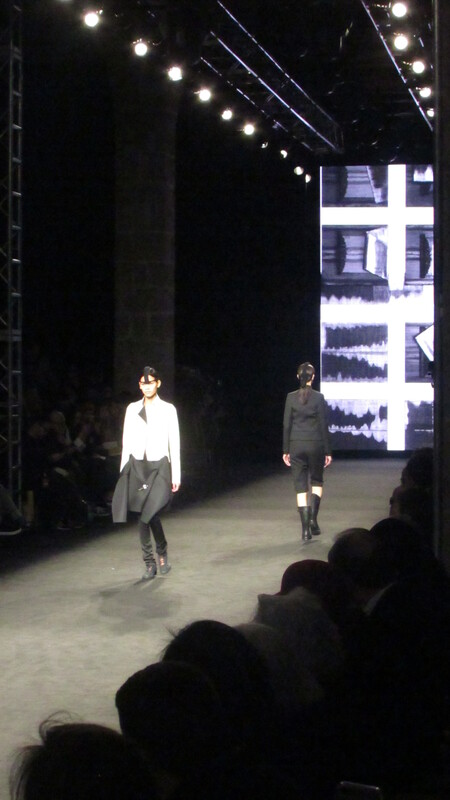 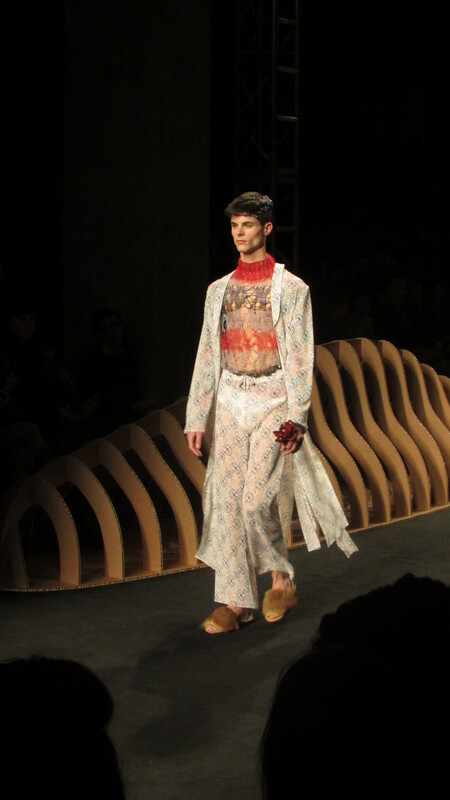 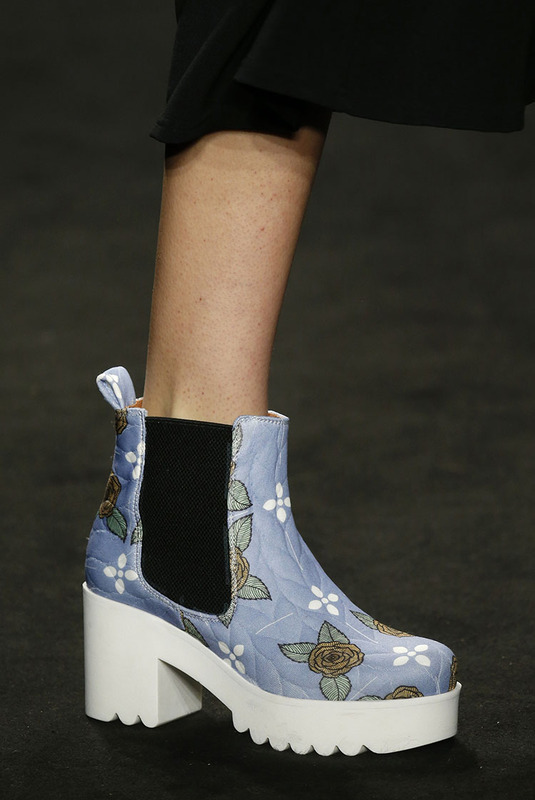 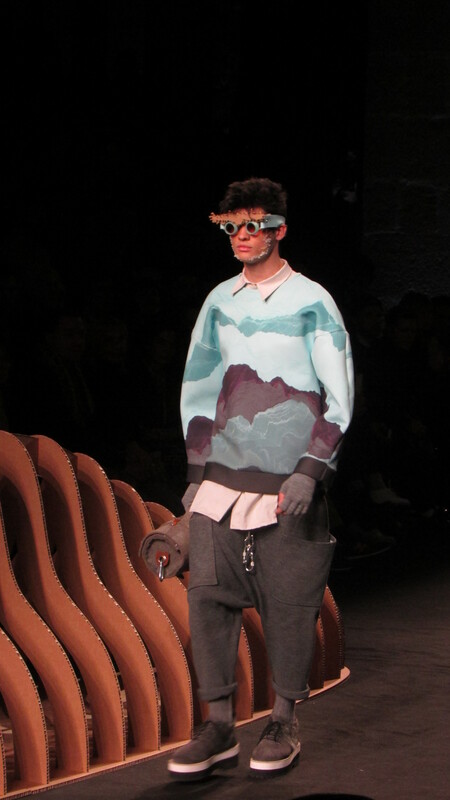 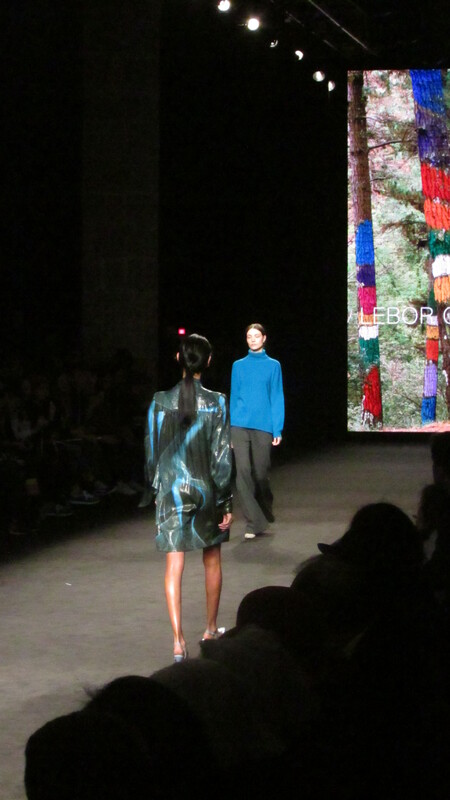 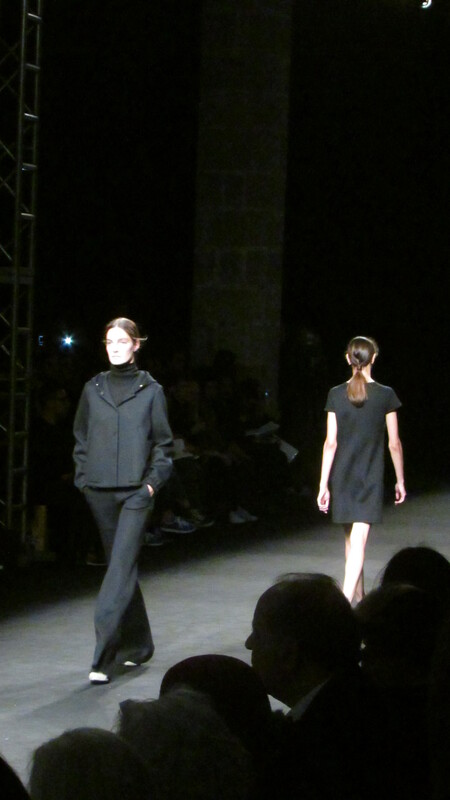 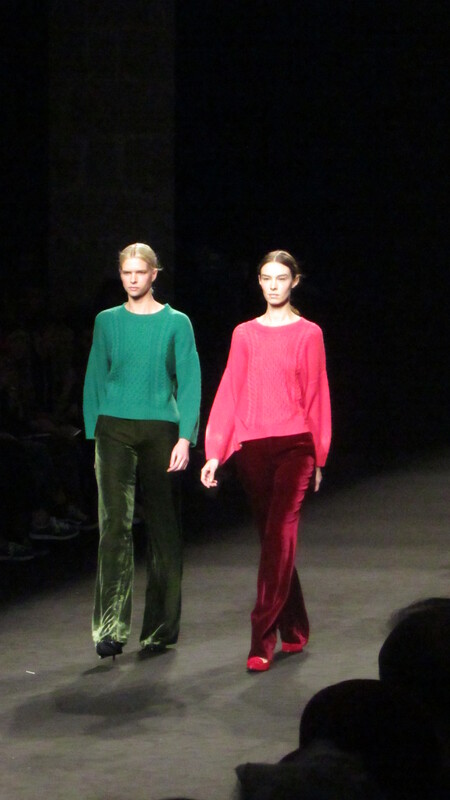 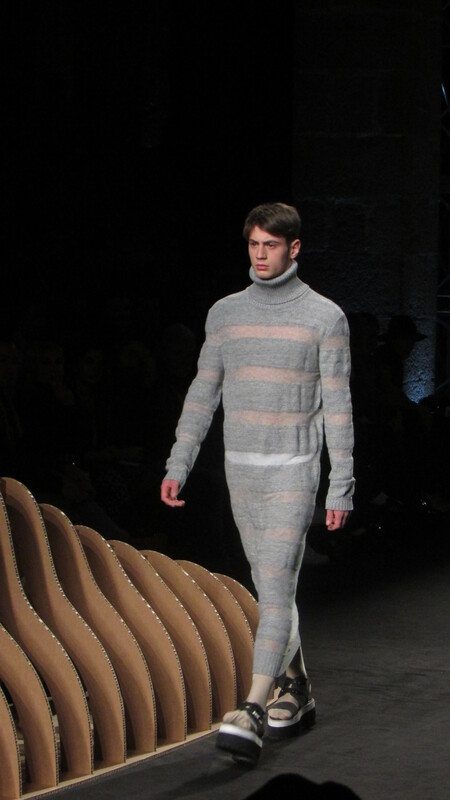 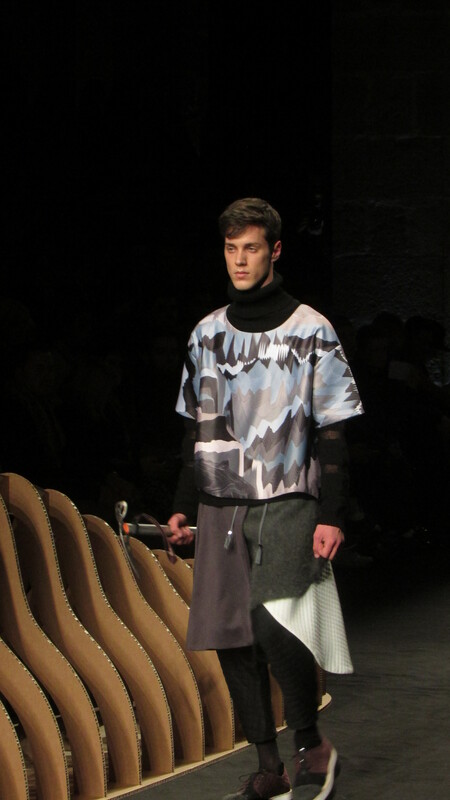 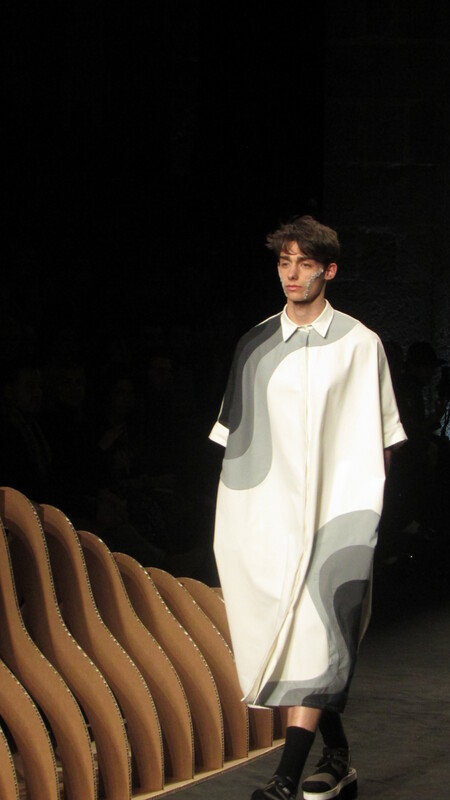 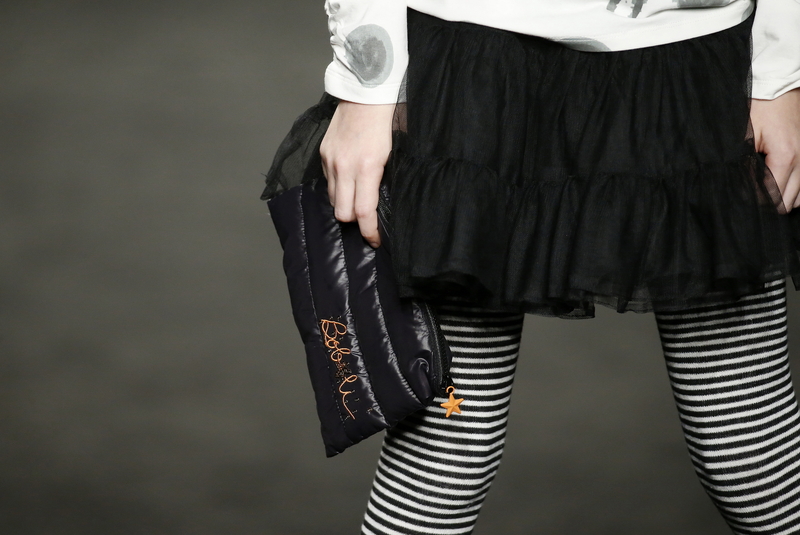 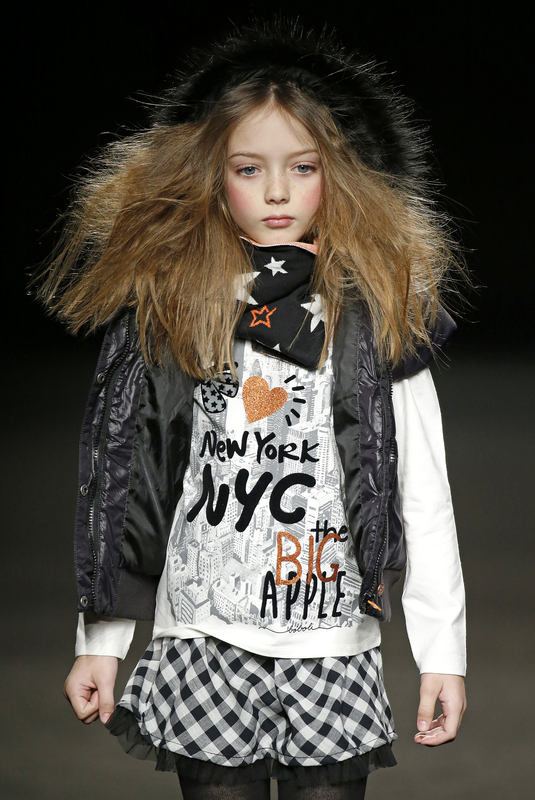 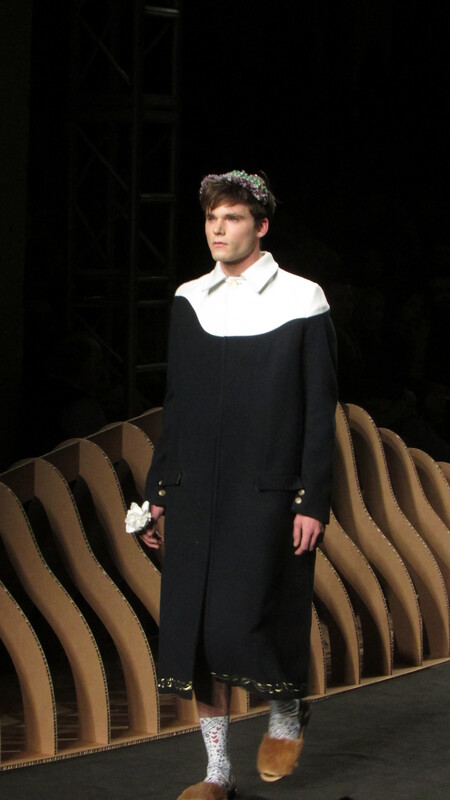 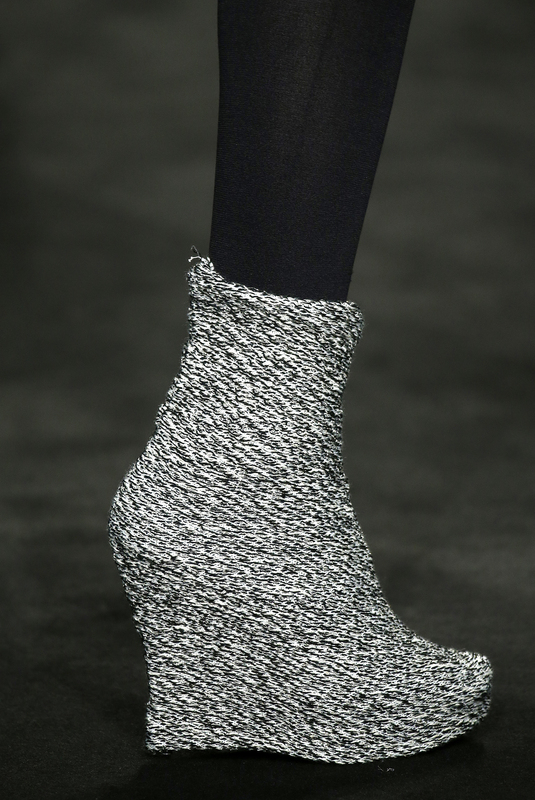 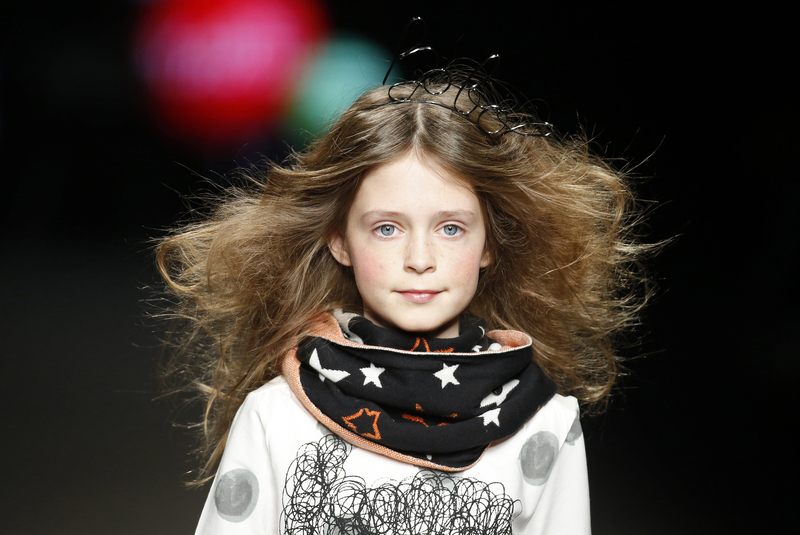 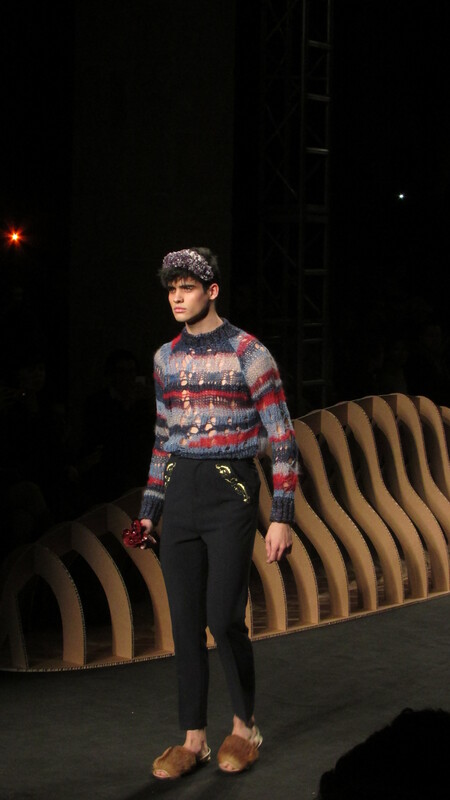 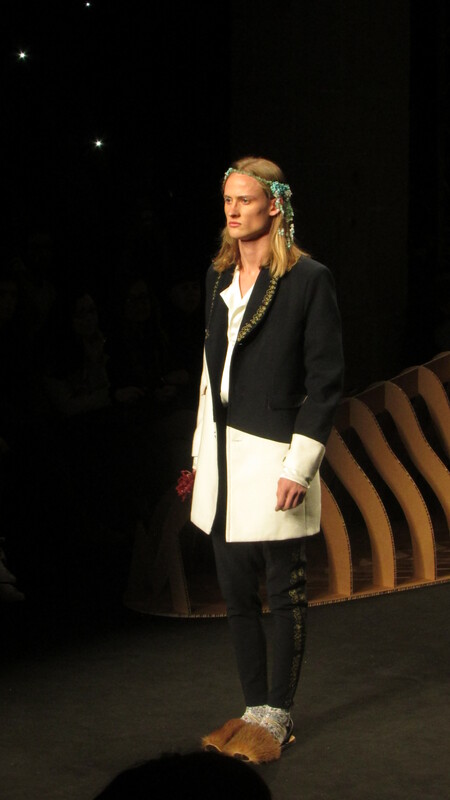 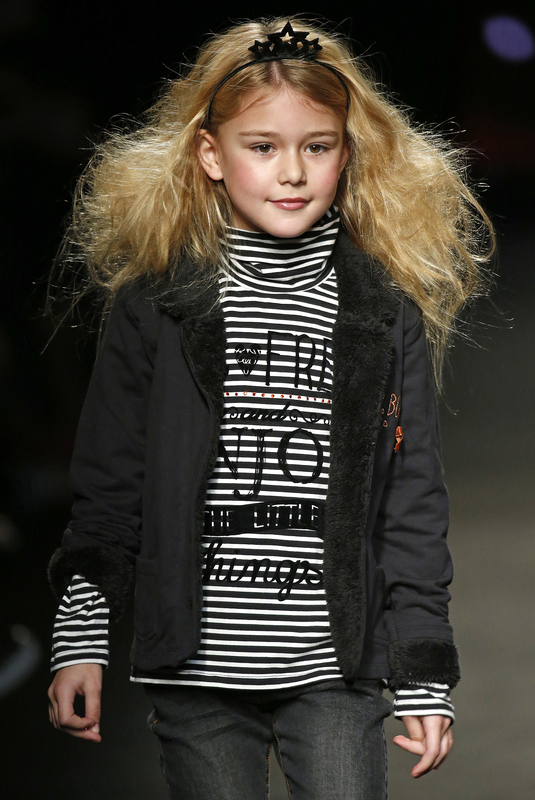 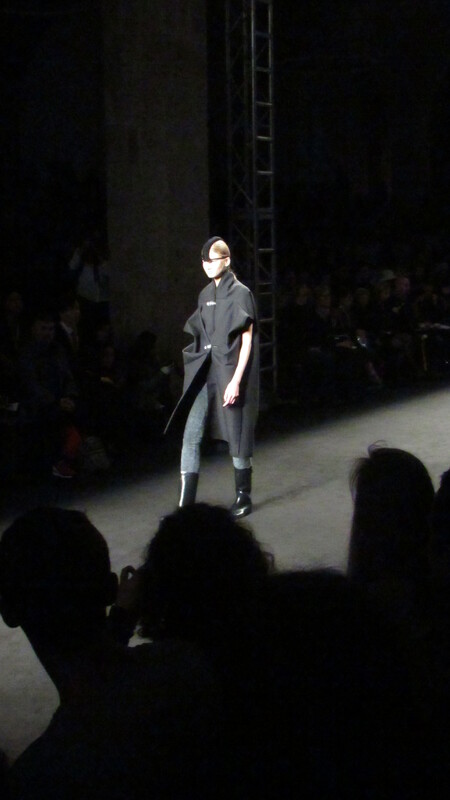 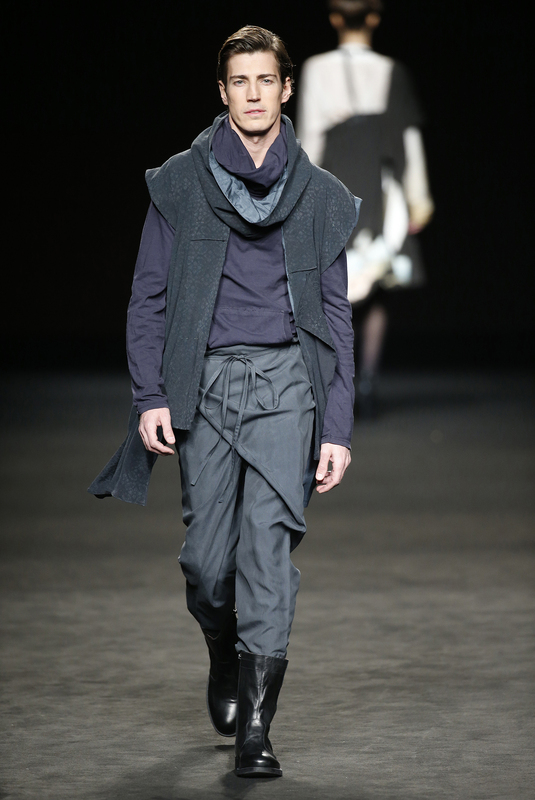 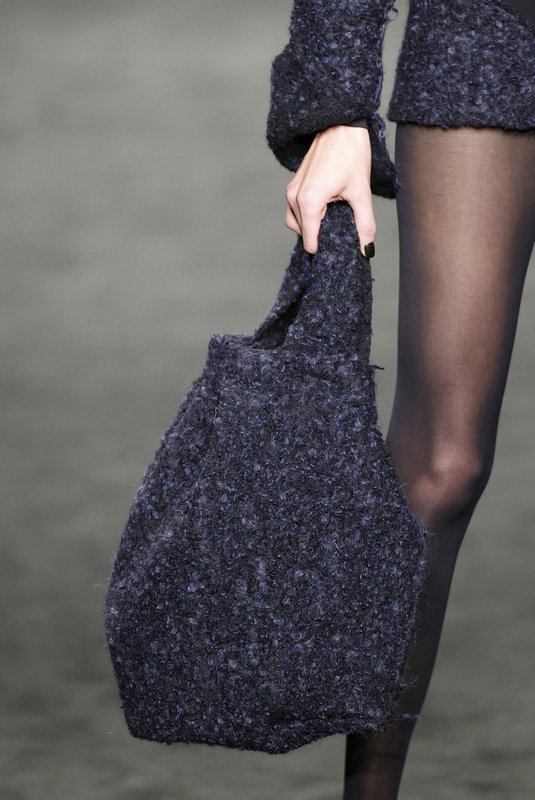 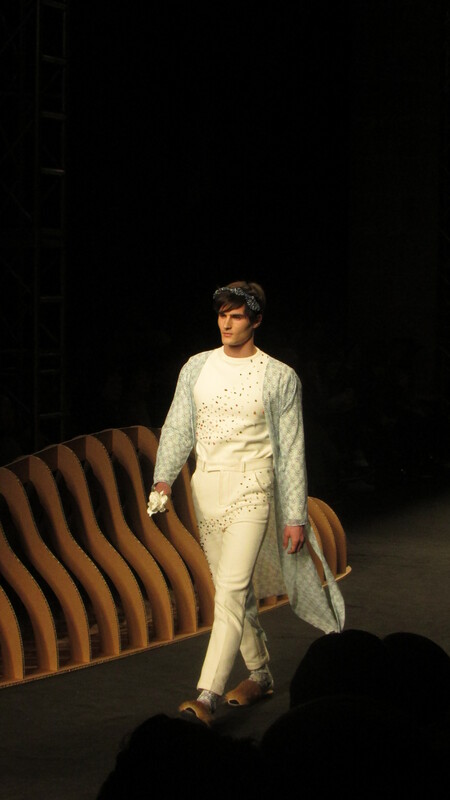 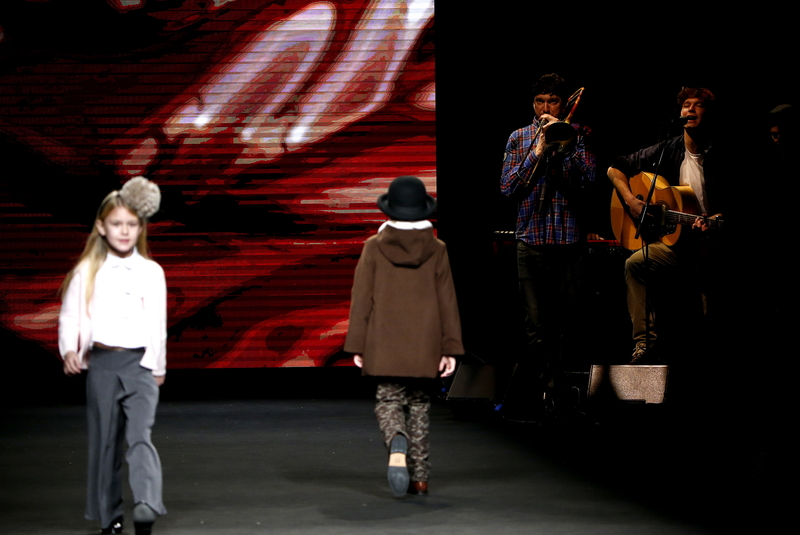 Therefore, it plays an important part of the 080 Barcelona Fashion Week. 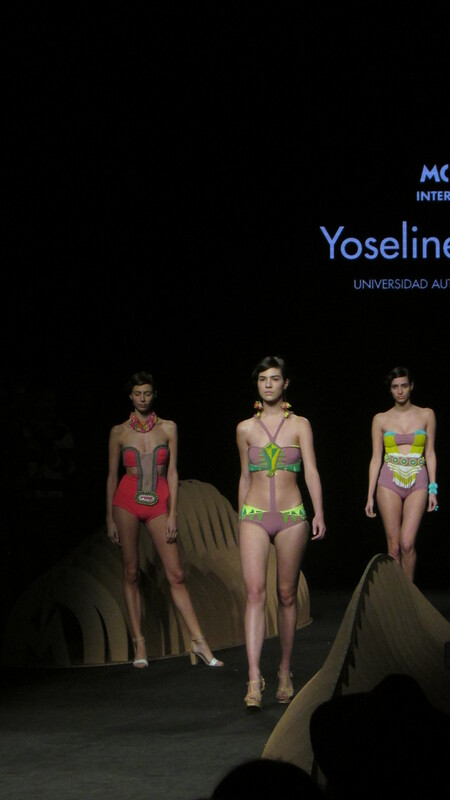 Young designers have the opportunity to present their collections in front of the press and in front of a panel of international experts from the fashion industry. 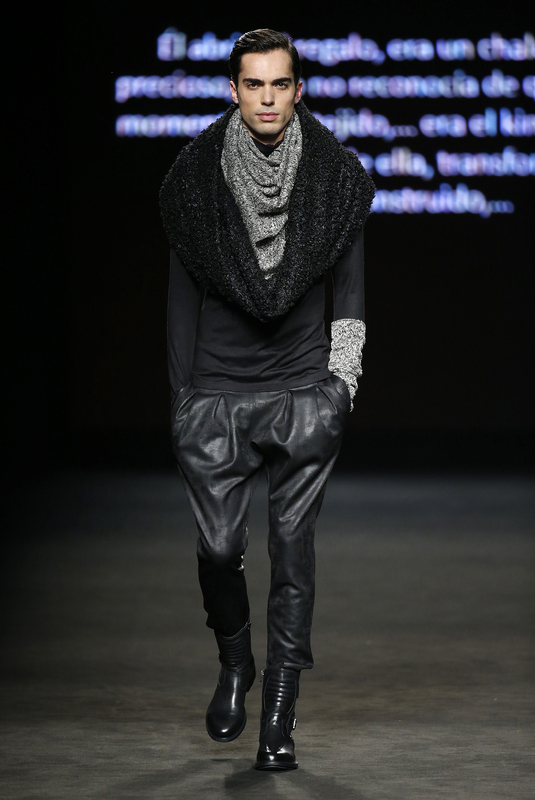 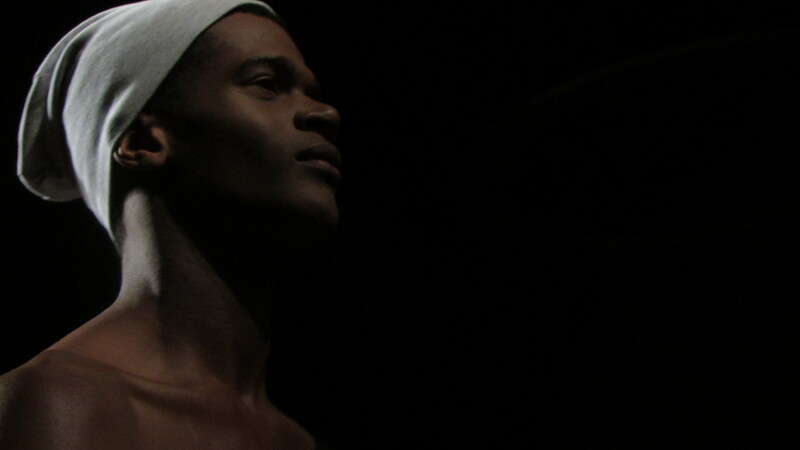 The winner of the Modafad Fashion Award has the opportunity to present his collection at the Fashion Week in Madrid. 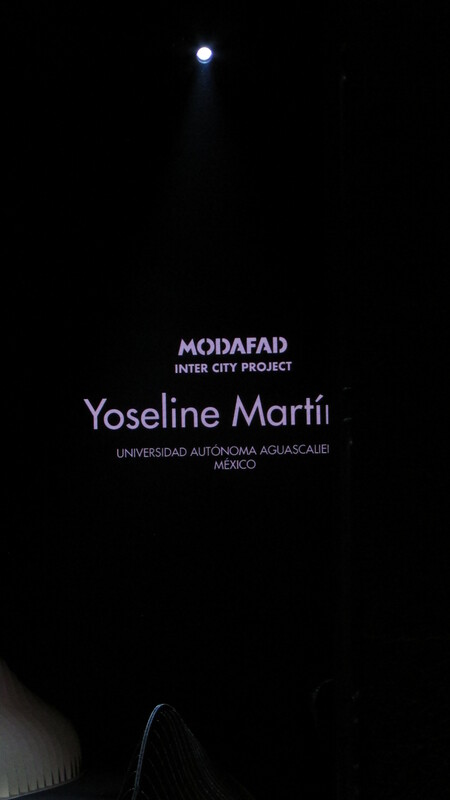 At this year’s 15th bi-annual 080 Barcelona Fashion Show Modafad picked three young designers Pedro Covelo (winner of the last edition of the MODAFAD Fashion Awards), Martín Maldonado (Finalist Modafad Fashion Awards 2014) and Yoseline Martinez (Winner of the Aguascalientes Fashion Contest 2014) to present their collection for the first time. 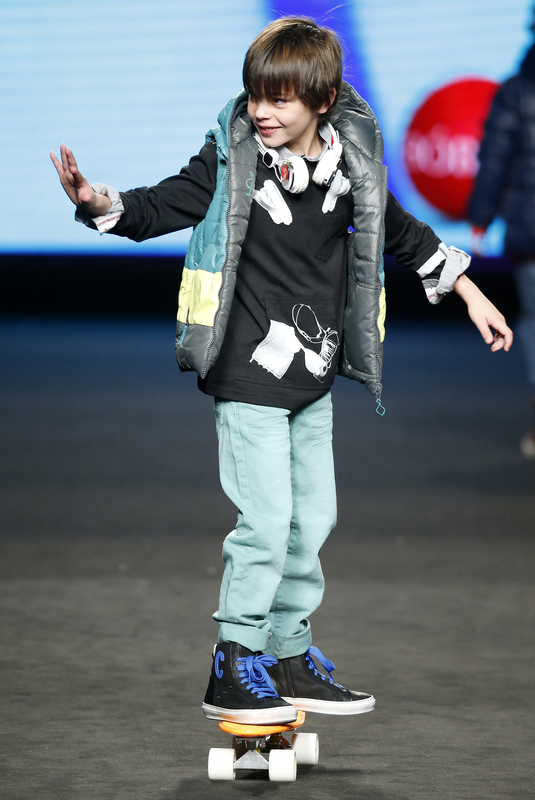 I was really looking forward to the event to see what the young local talents had to offer and I have to say that all three of them were absolutely amazing! 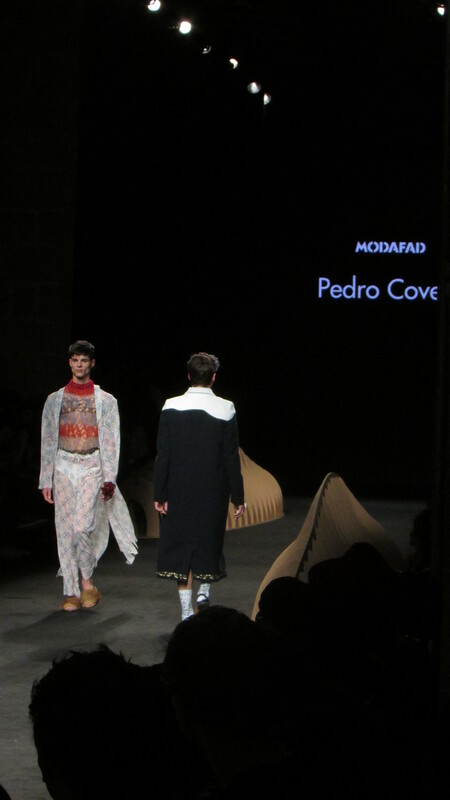 The young designer Pedro Covelo could convince the jury with his new collection again and received the MODAFAD Fashion Award. 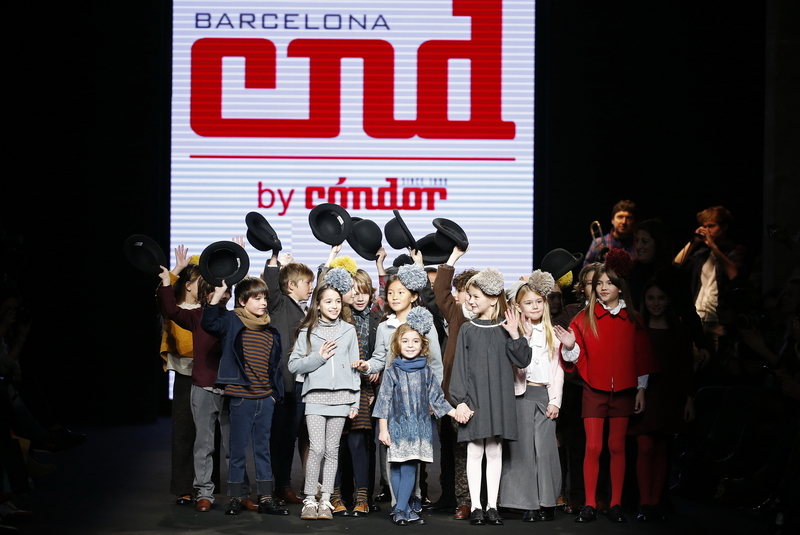 CND by Condor and Bóboli are two famous Catalan brands for kindswear known not only in Spain but as well as other countries like European Union, Russia, the United States, Central and South America, Japan and the UAE. 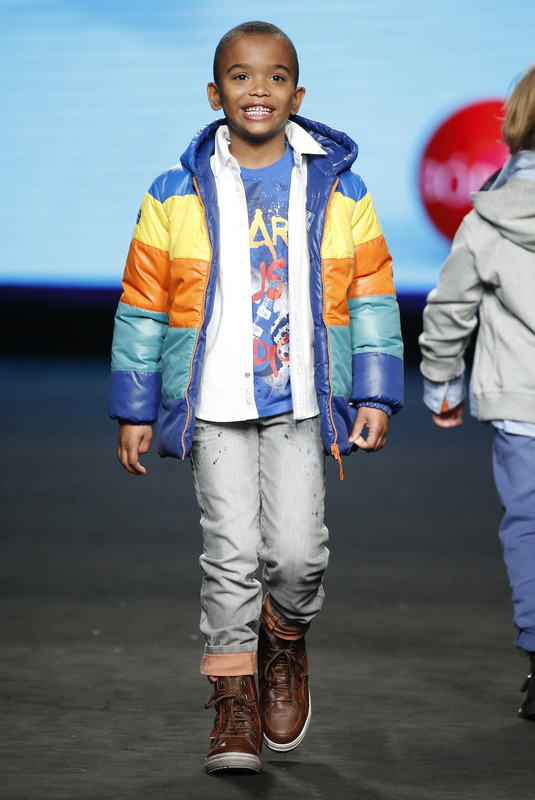 The brand CND by Condor chose for its new collection “Chocolate” the colors of sweets, chocolates, toffees and combined with salmon pink, touches of deep blue ice, powder pink, ruby red and the soft metallic touches that the children around the world like so much. 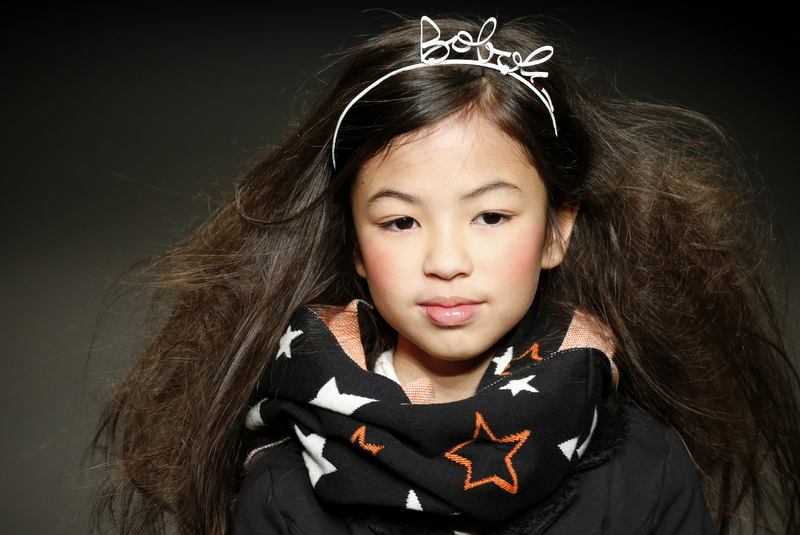 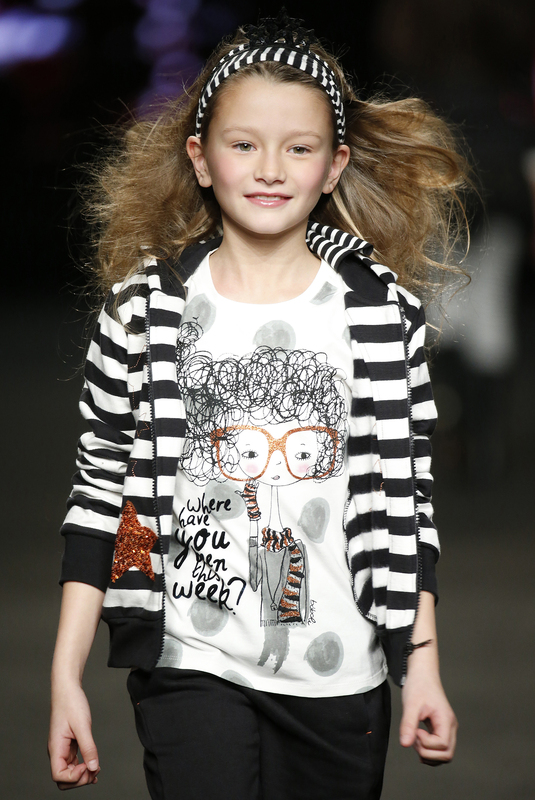 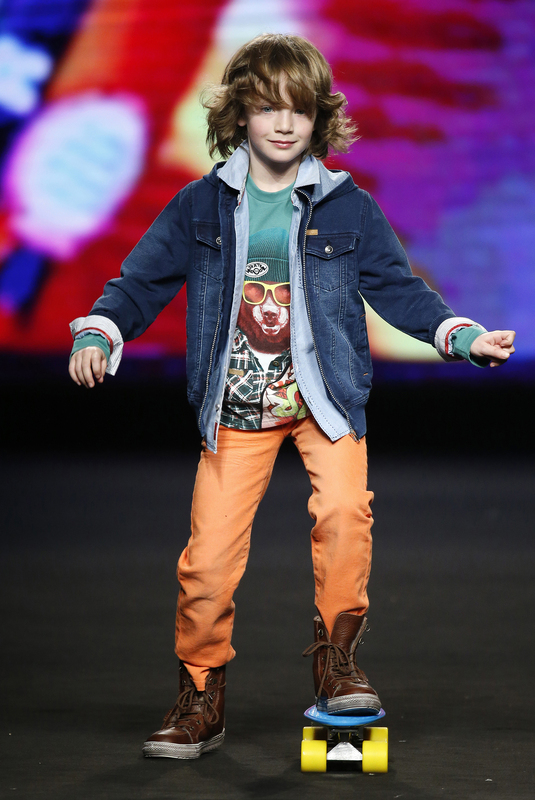 With a lot of enthusiasm and happiness presented small and cute models the new collection of Bóboli “Make a Wish” which consisted of the color combinations black and white with added glitter. 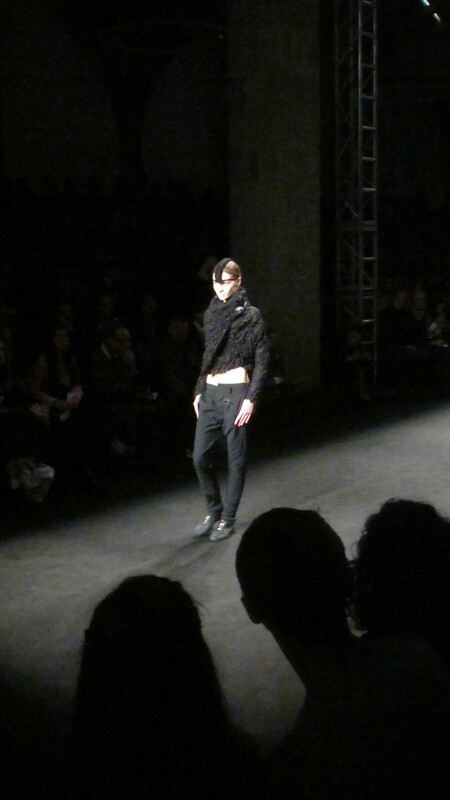 Girls were dressed in black and white and boys in happy rainbow colors. 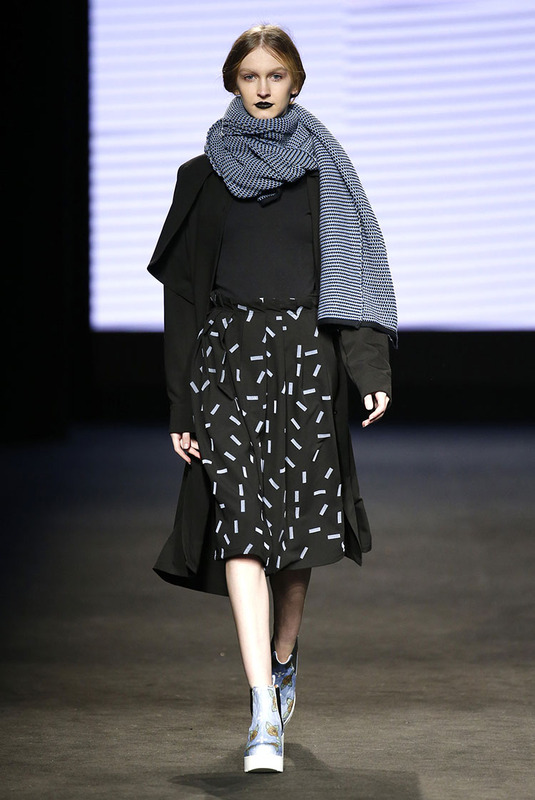 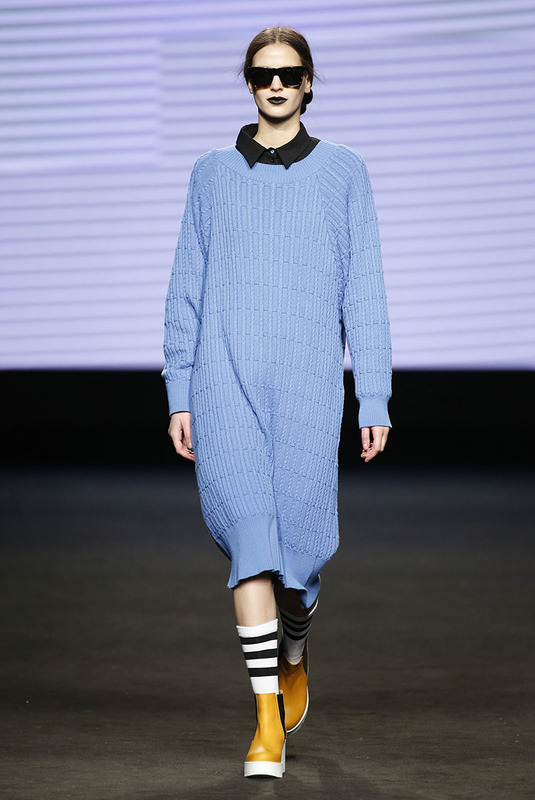 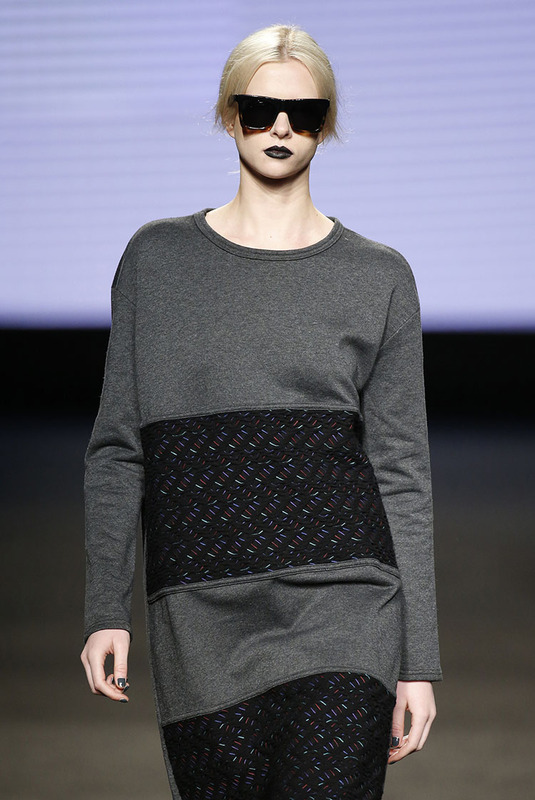 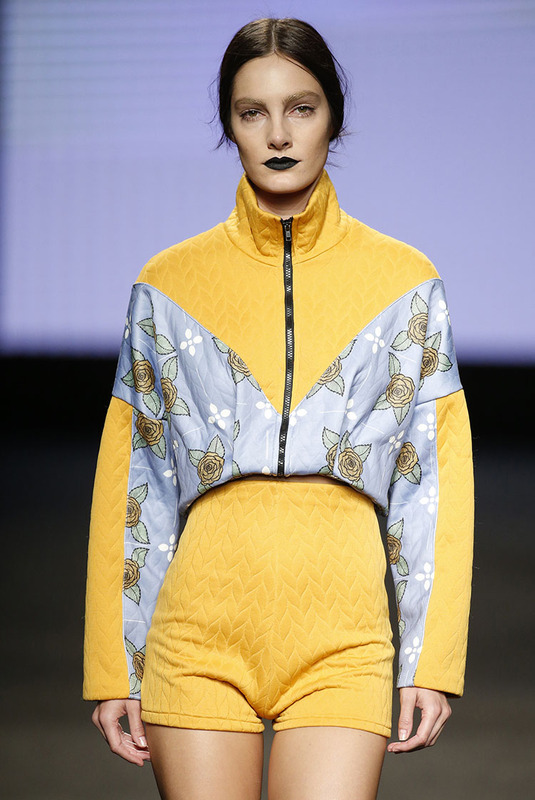 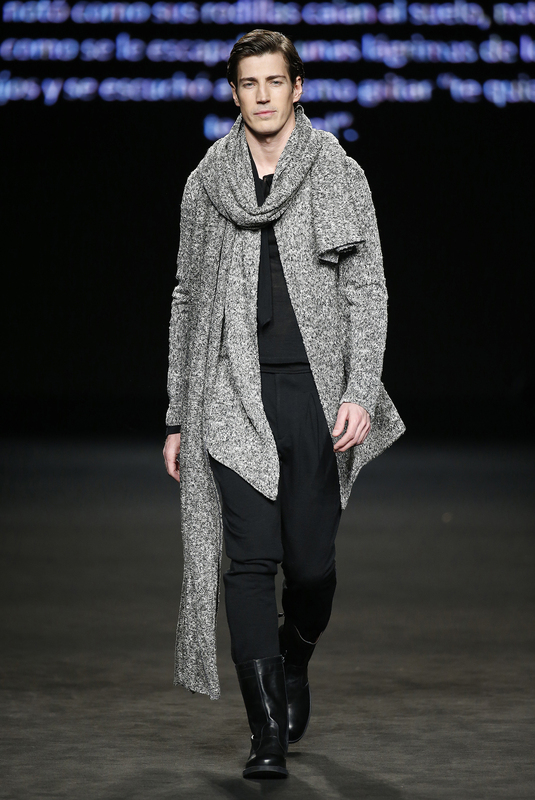 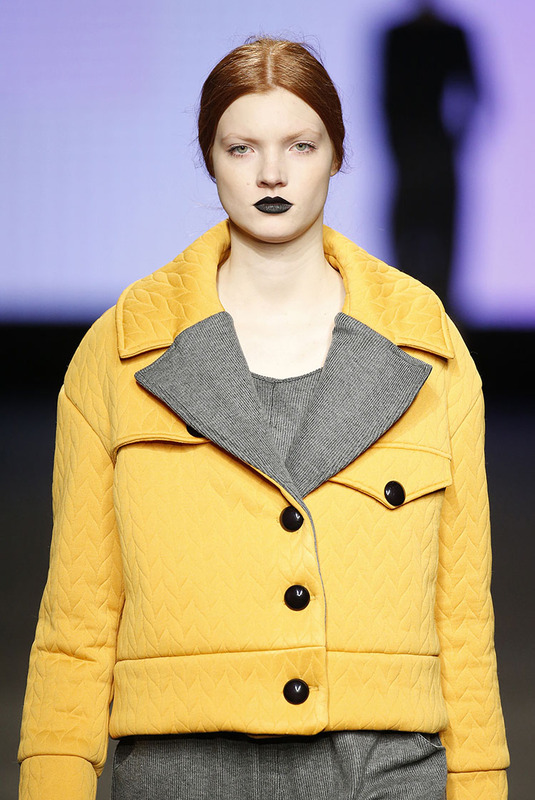 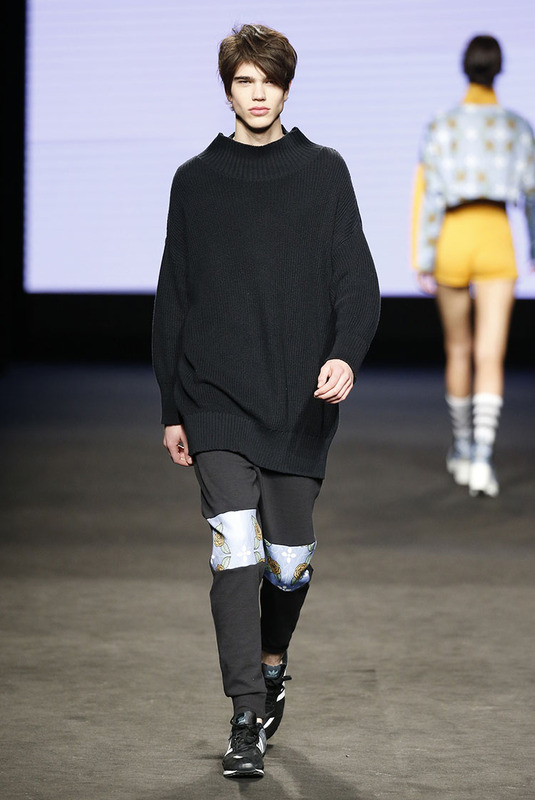 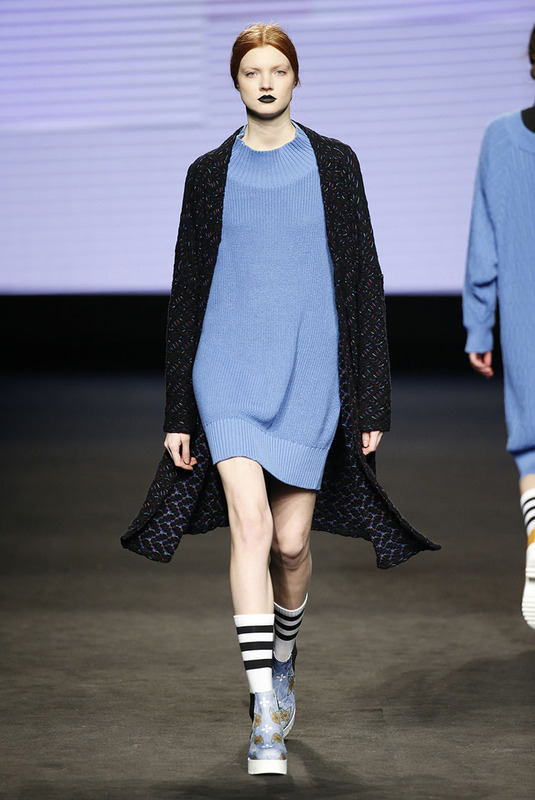 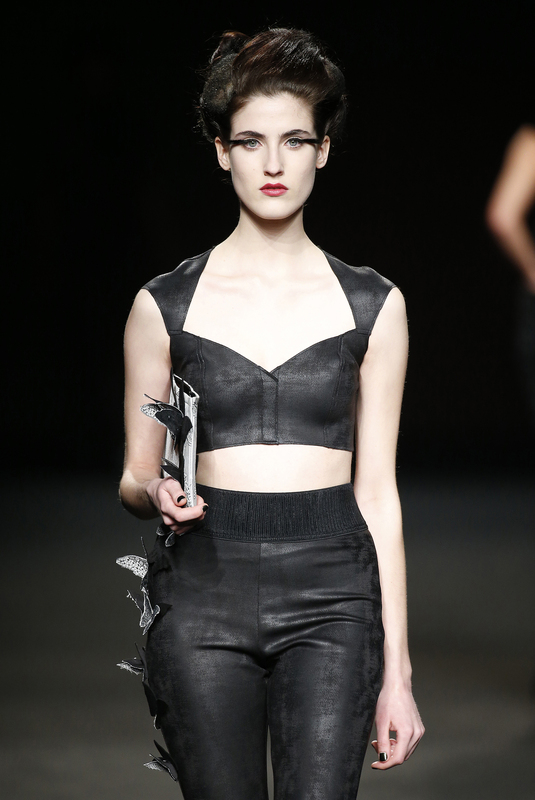 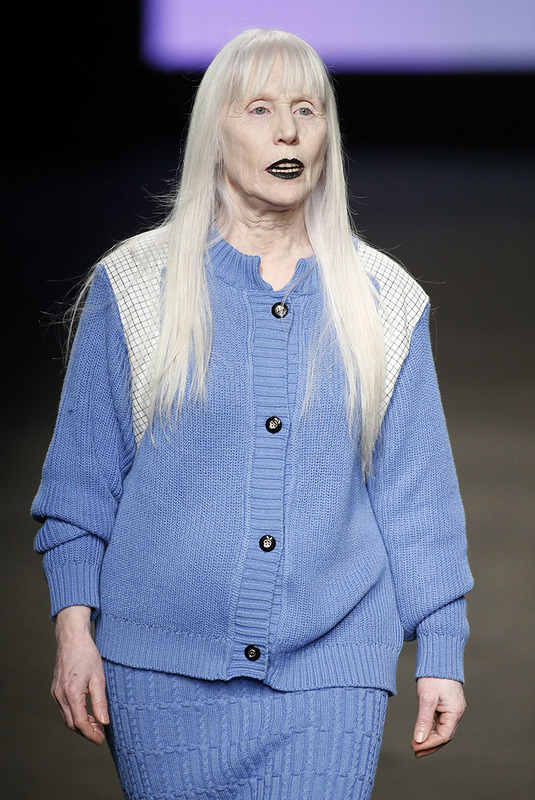 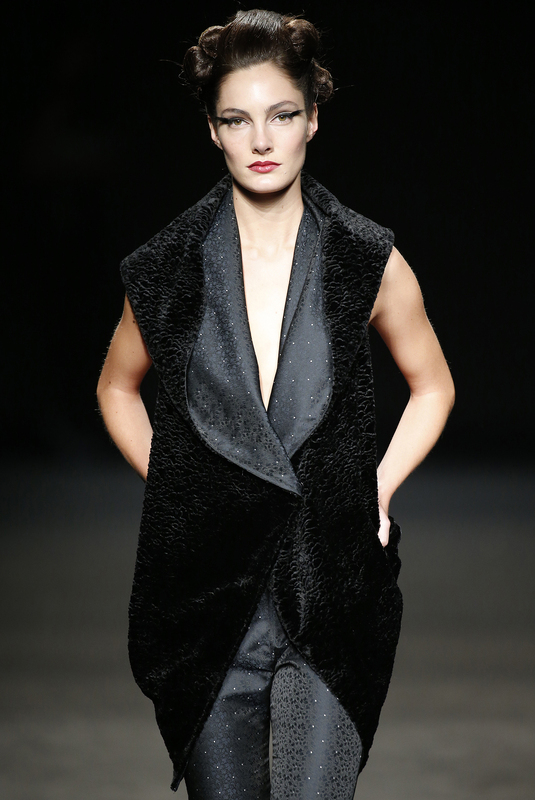 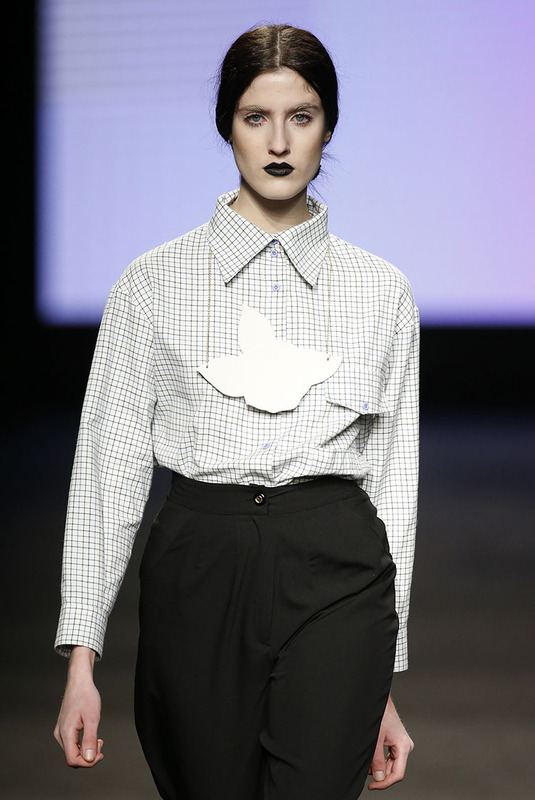 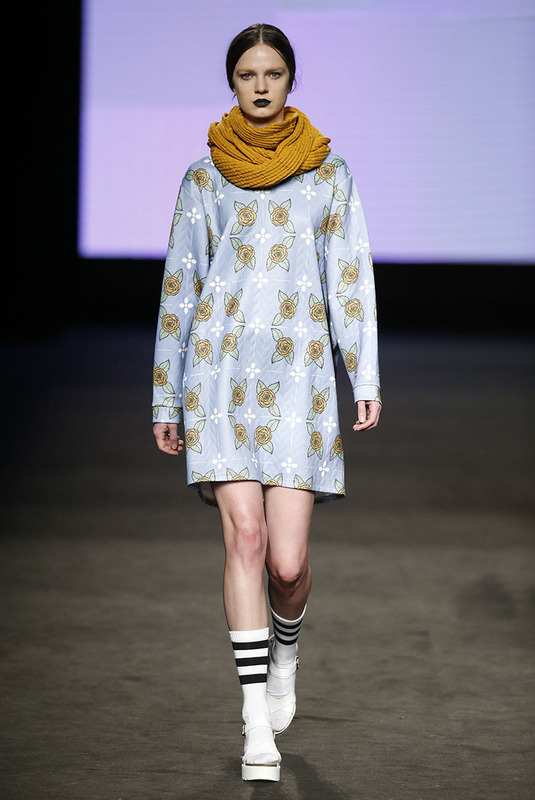 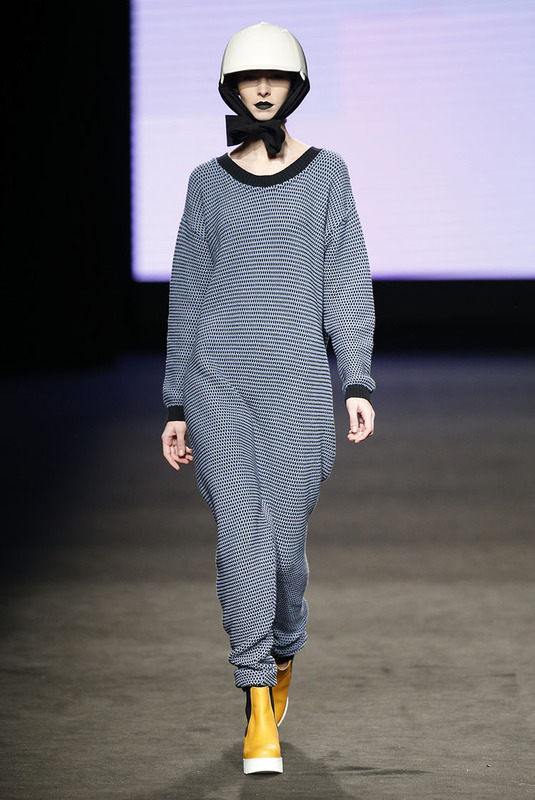 Txell Miras presented her new “Angles” collection at the 080 Barcelona Fashion Week 2015. 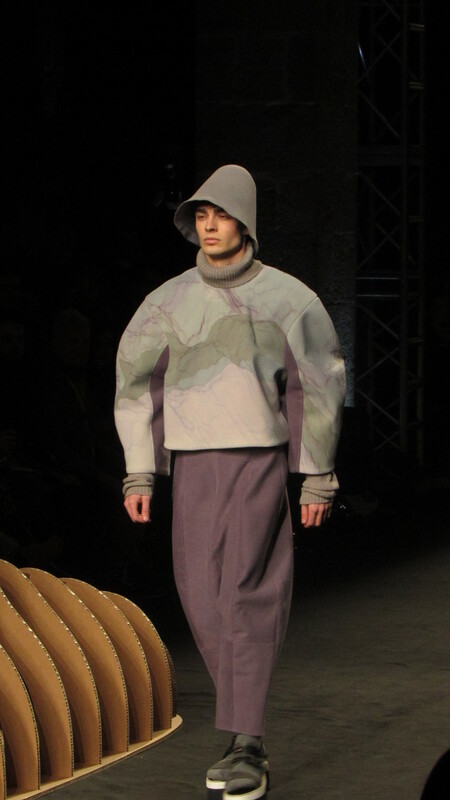 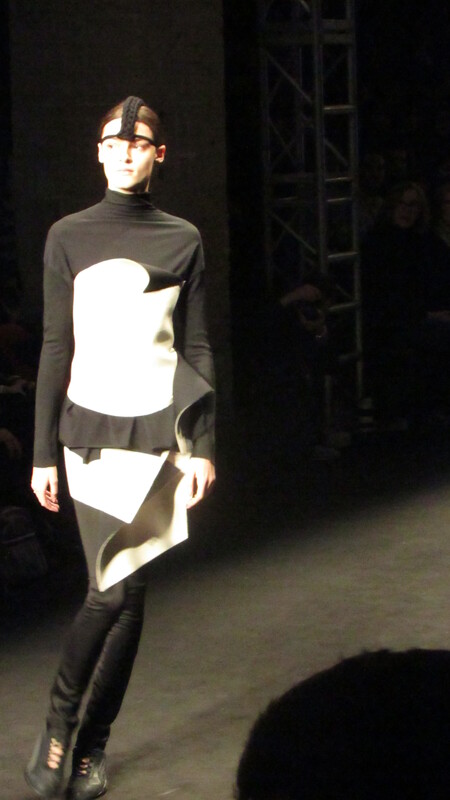 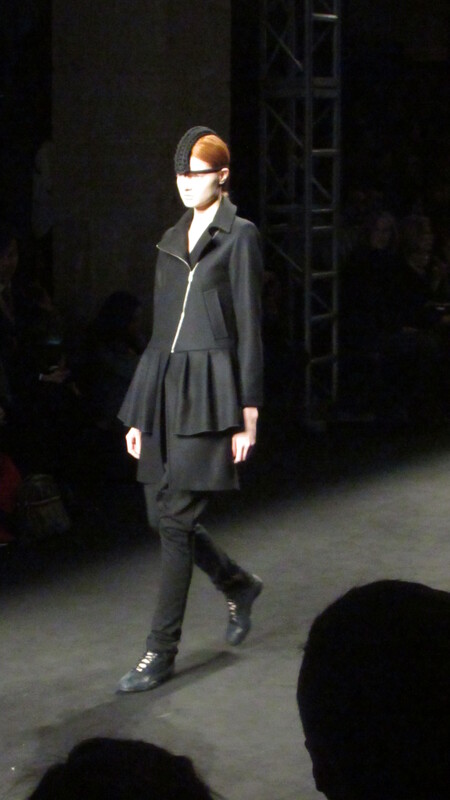 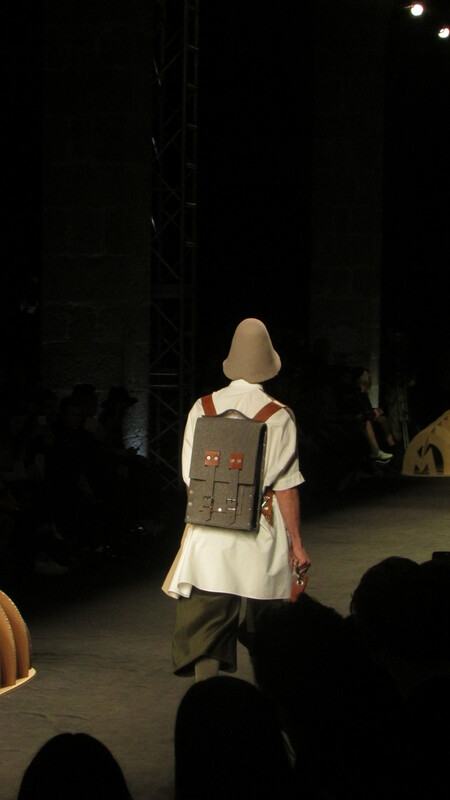 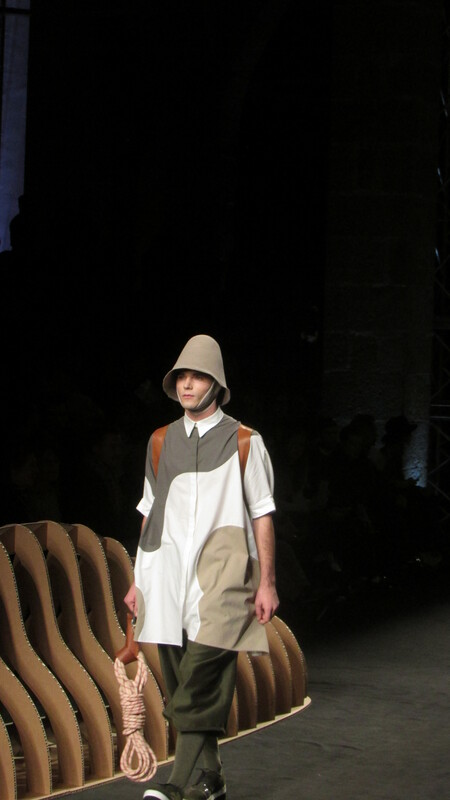 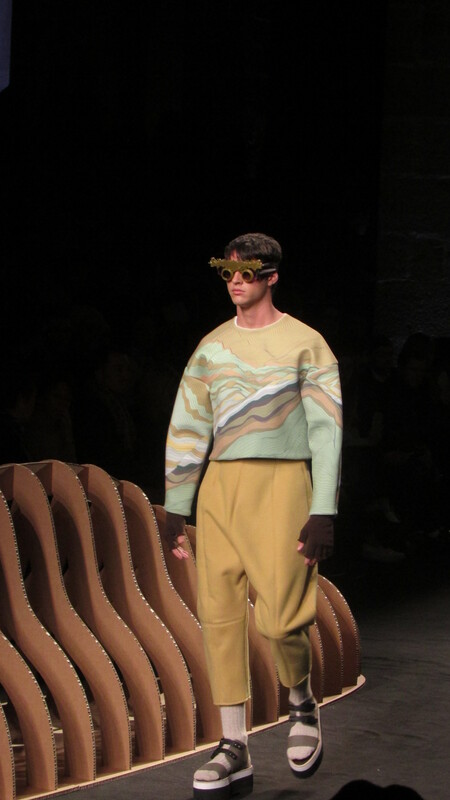 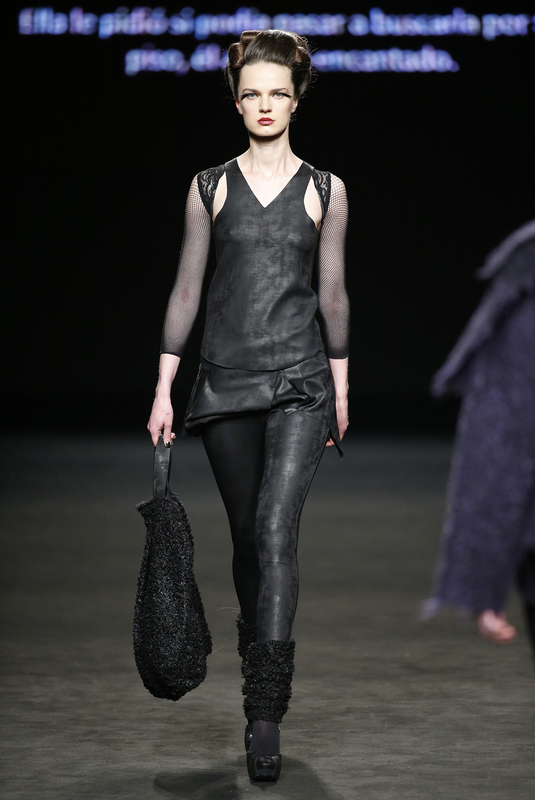 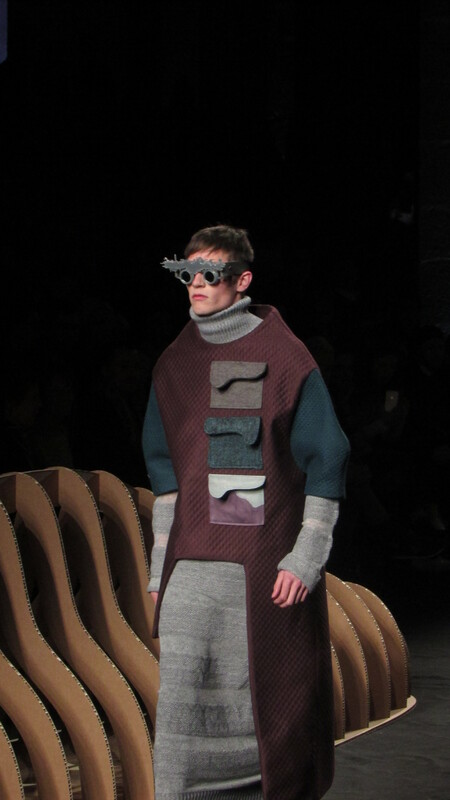 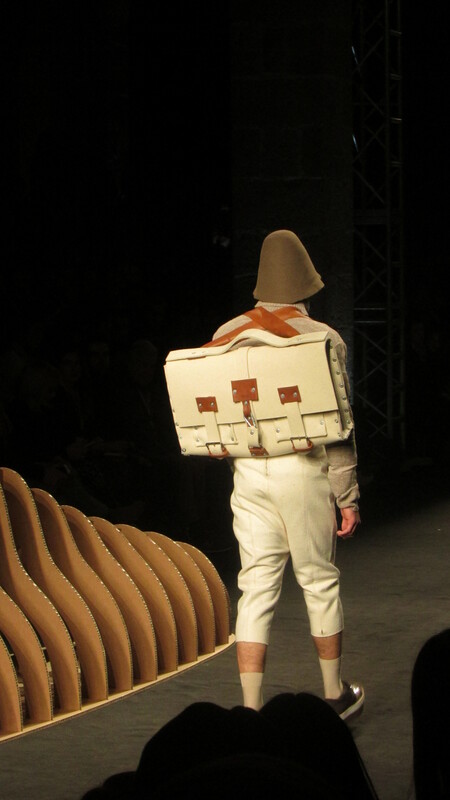 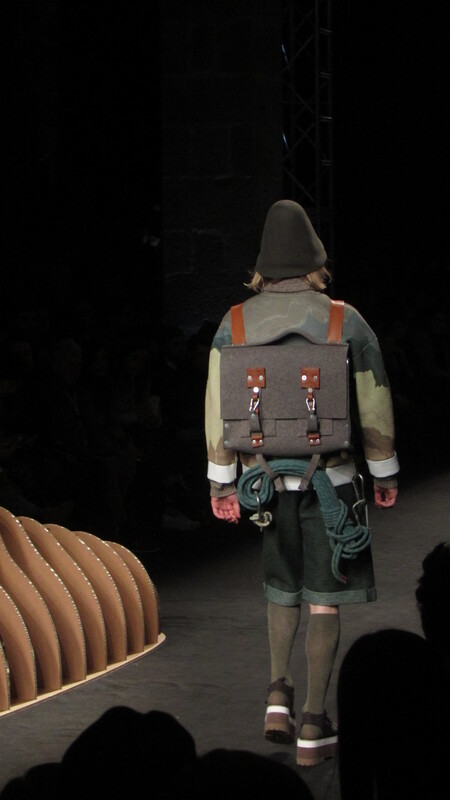 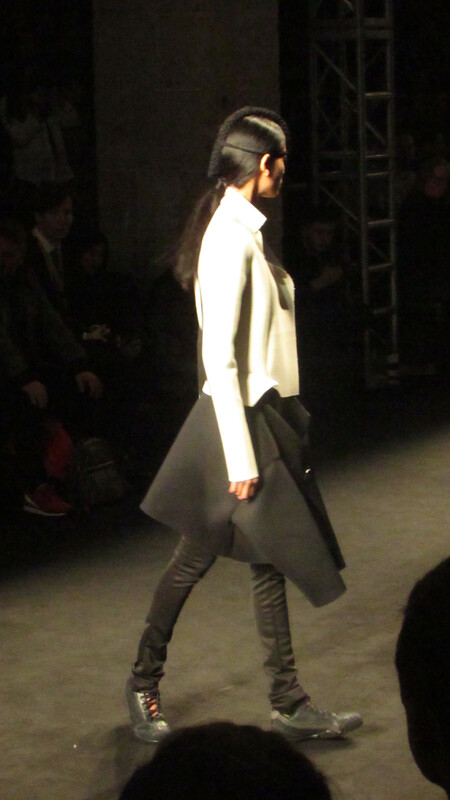 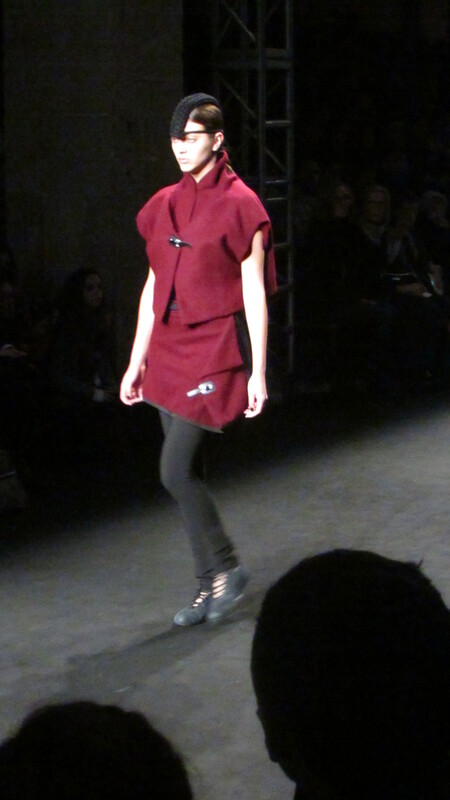 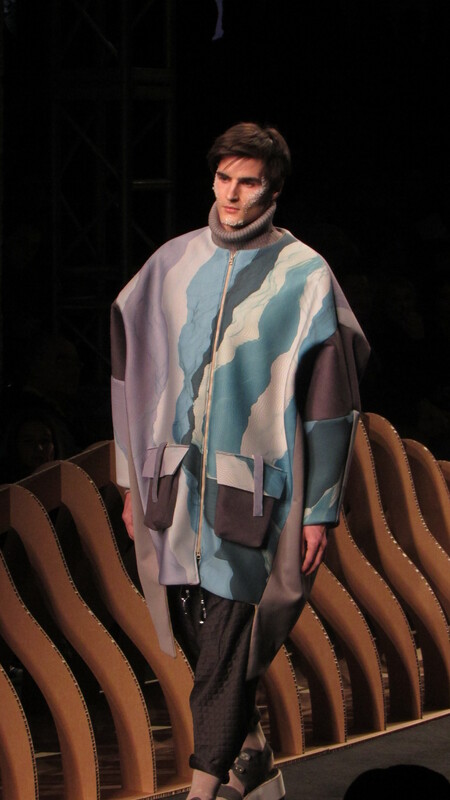 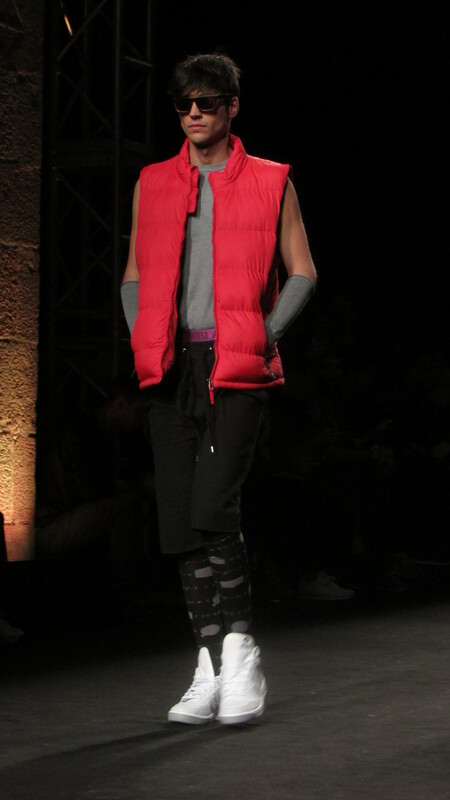 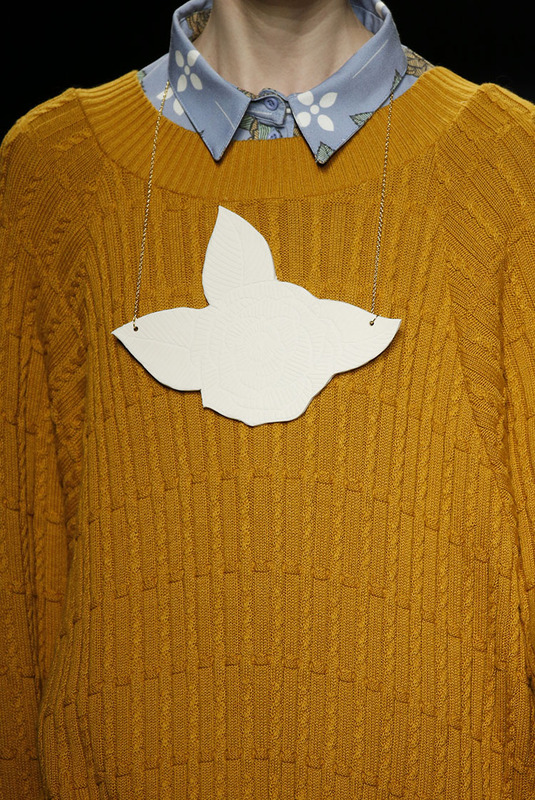 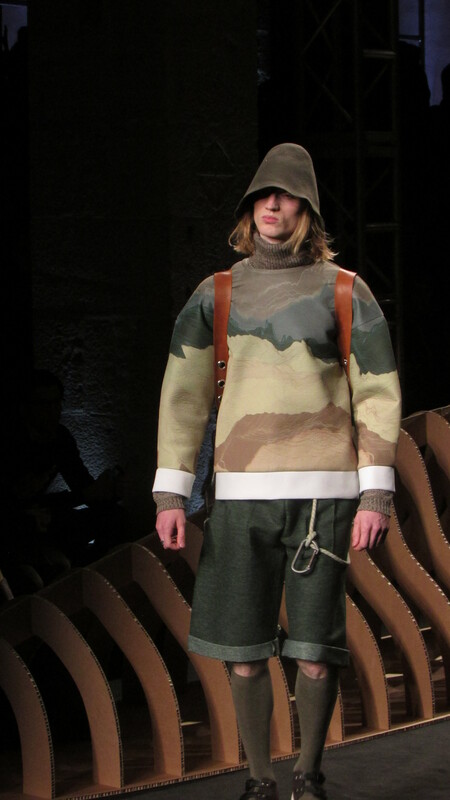 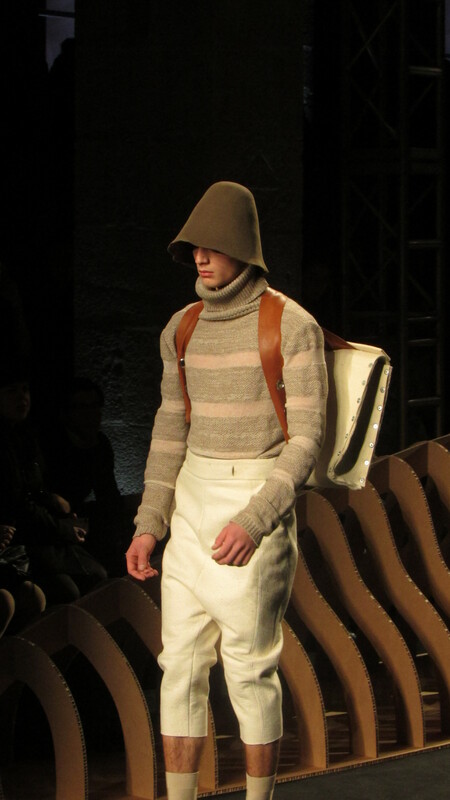 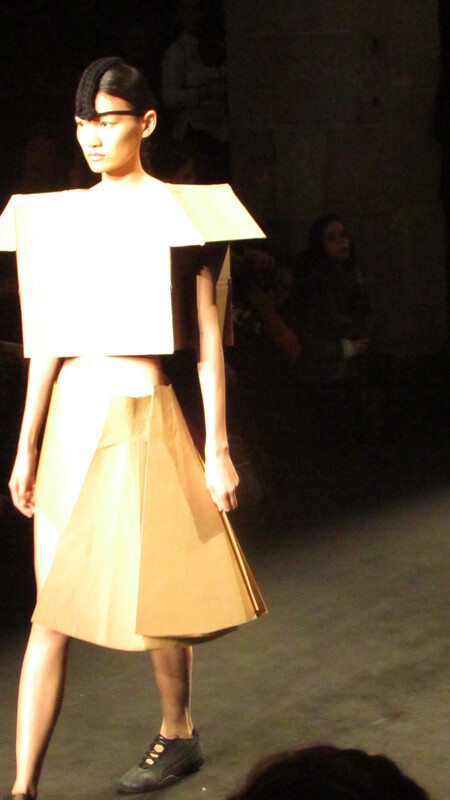 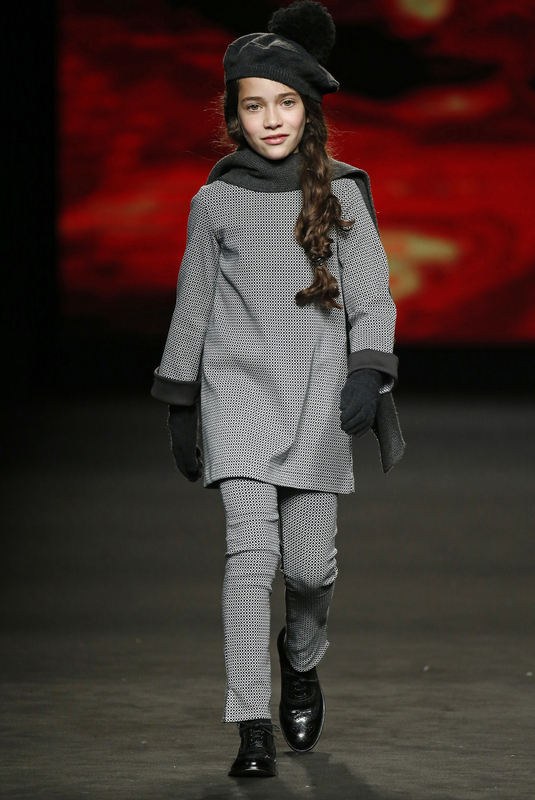 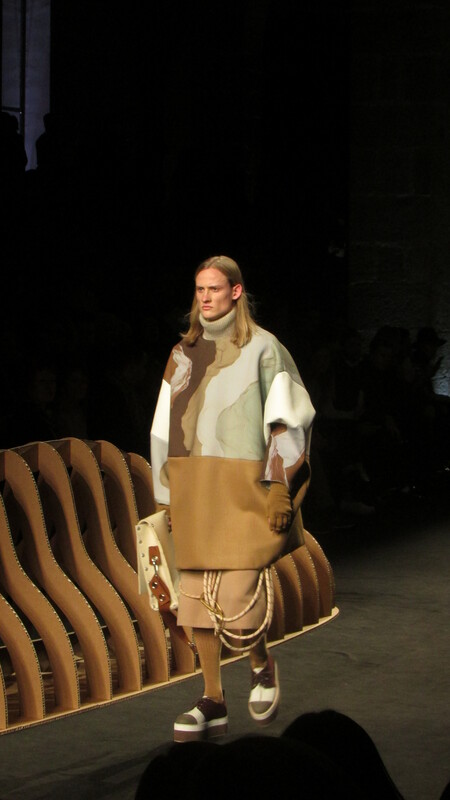 The Catalan designer presented in her designs a combination of technical and natural materials. 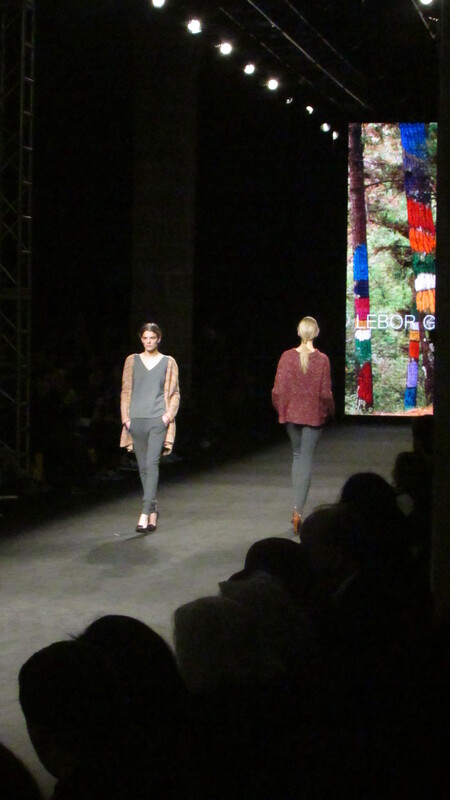 She used mainly the colors white, gray, cardboard, burgundy and black. 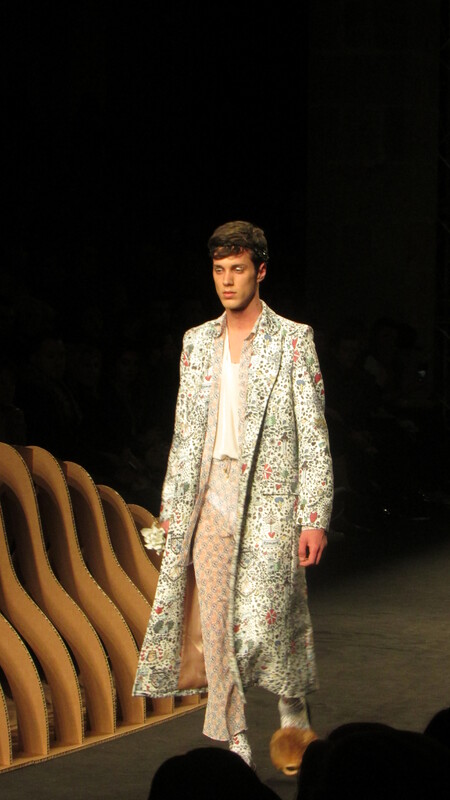 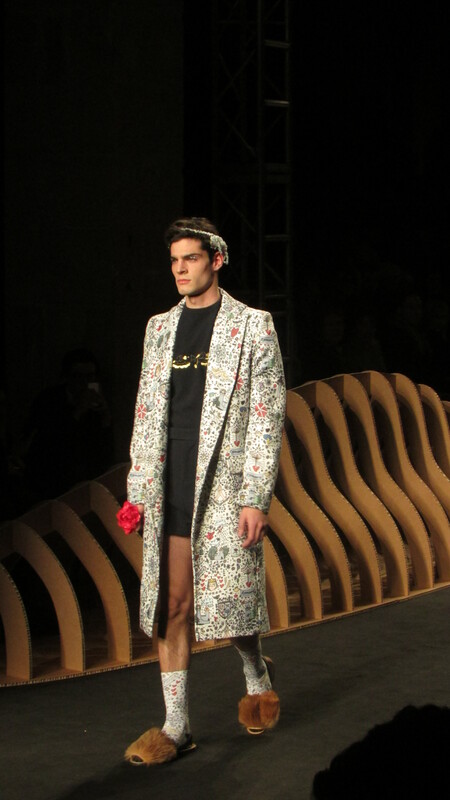 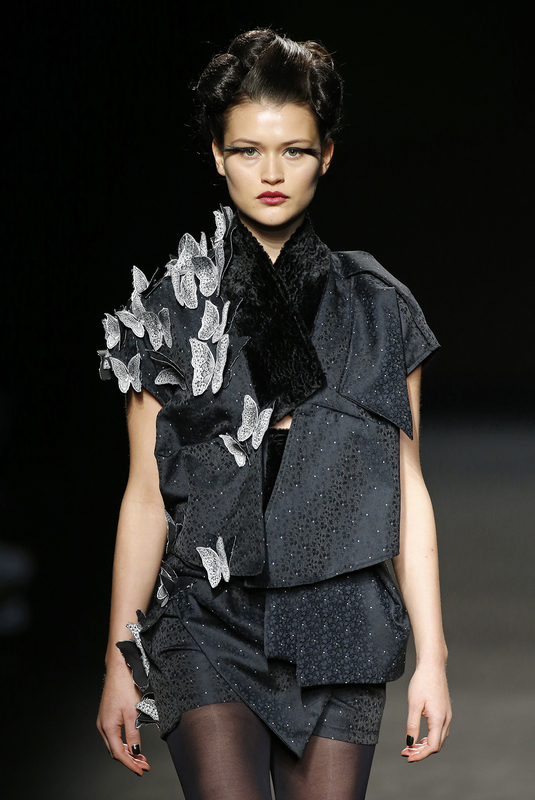 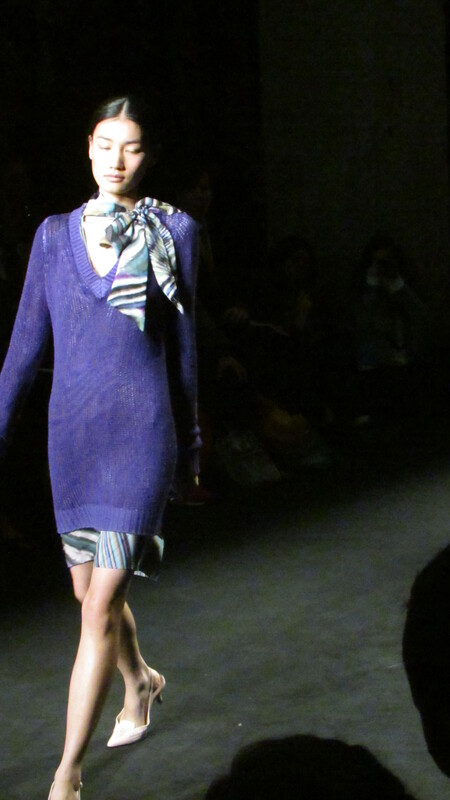 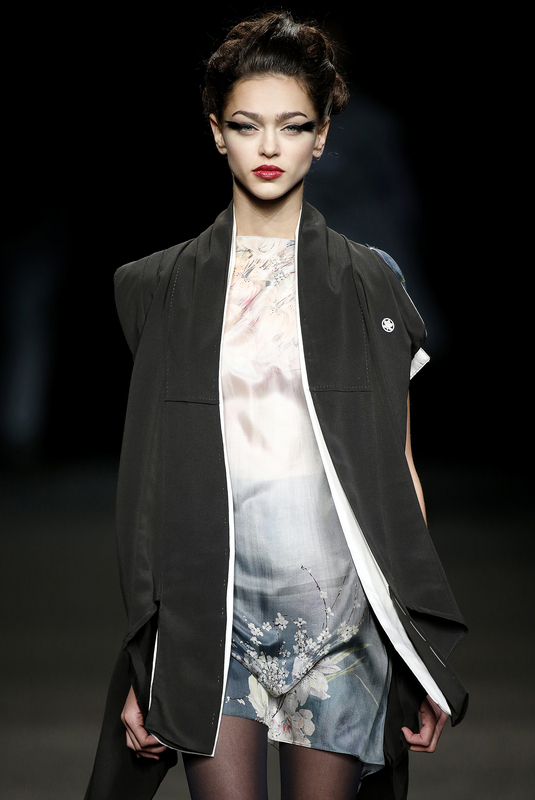 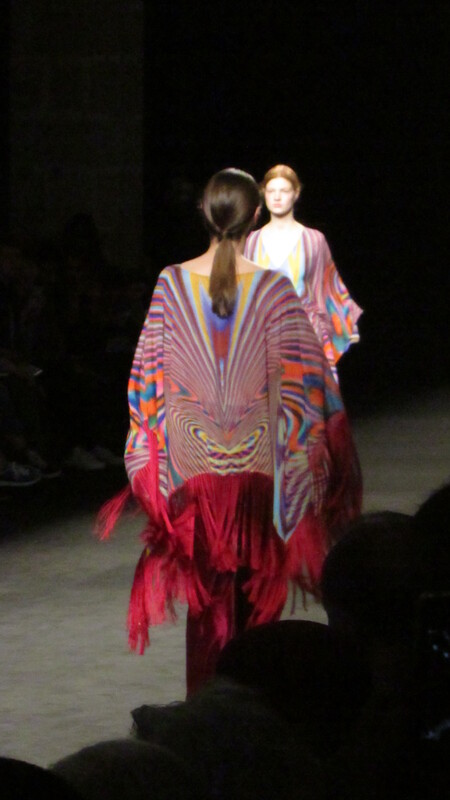 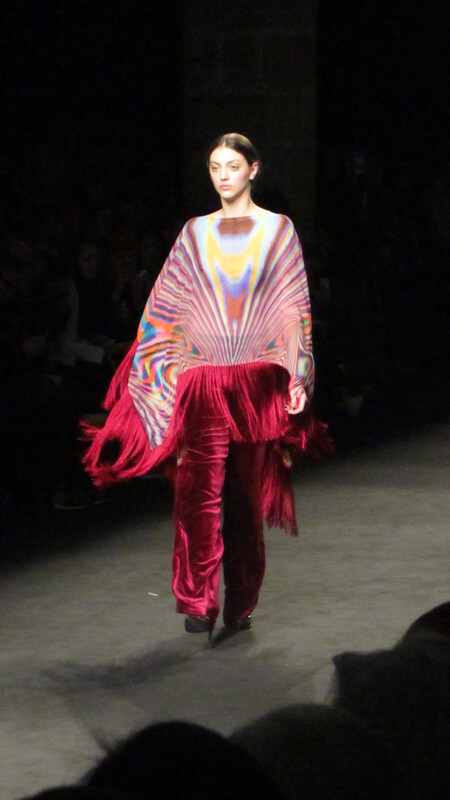 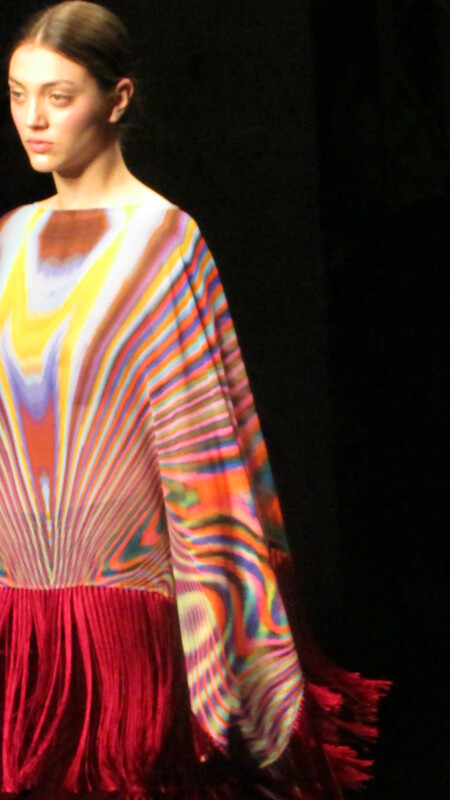 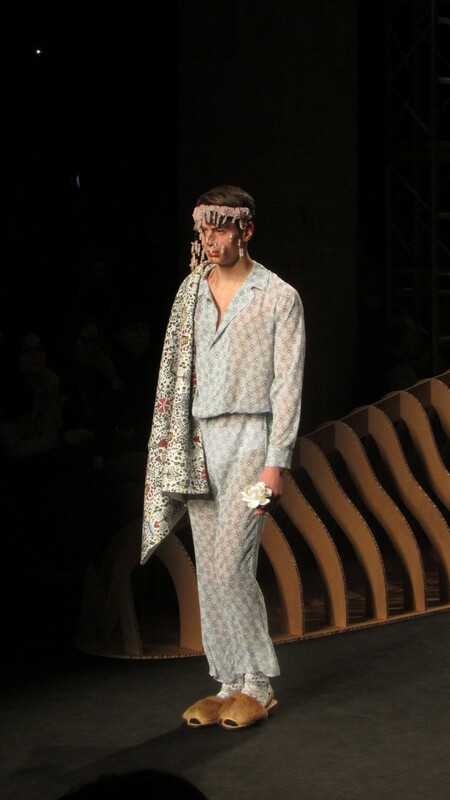 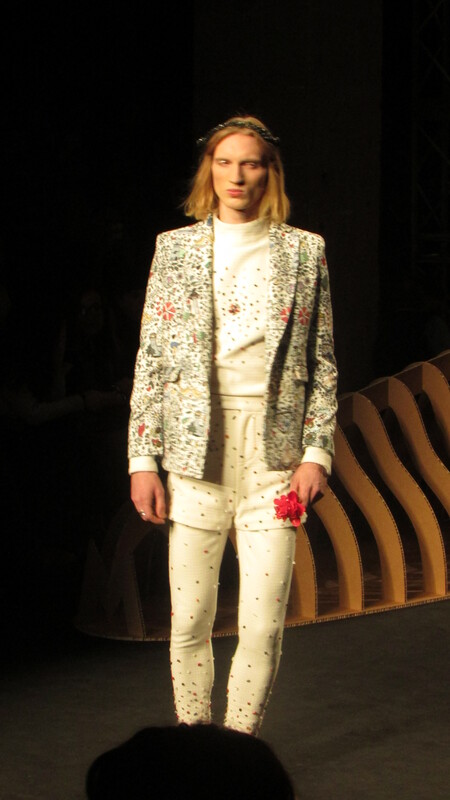 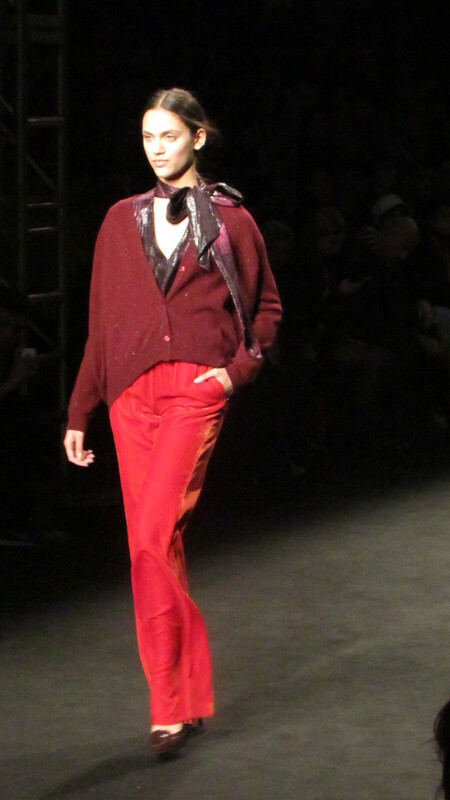 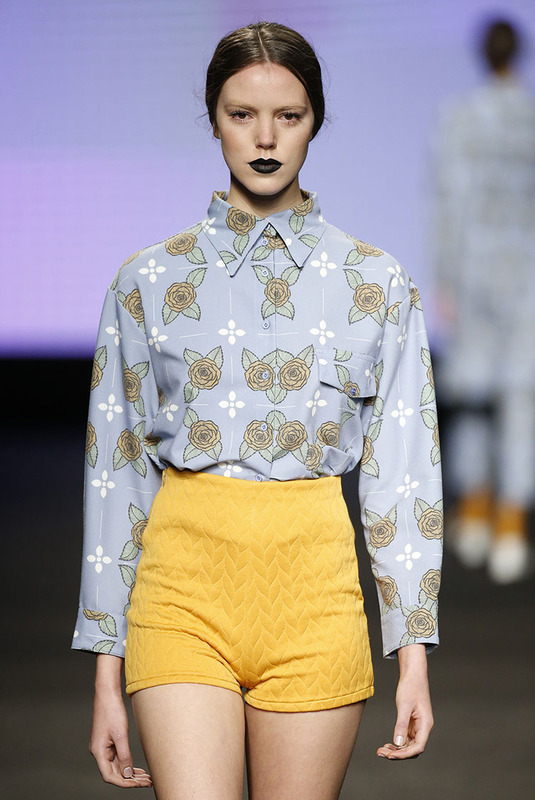 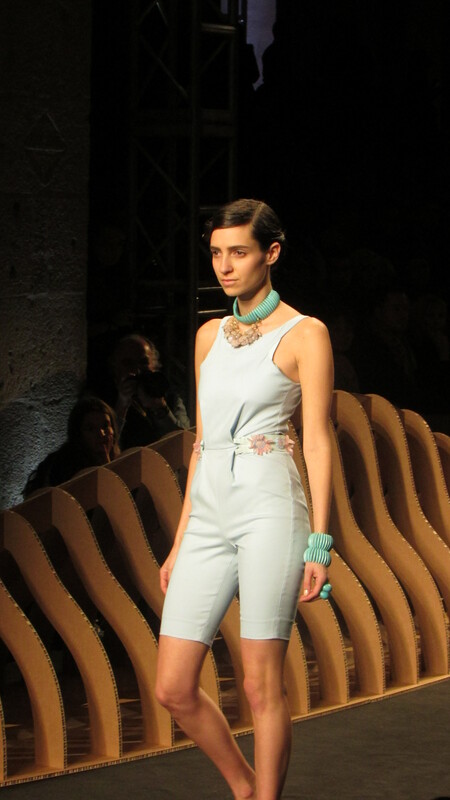 Celia Vela presented her new feminine collection “Butterfly Dreams” at the 15th bi-annual 080 Barcelona Fashion Show. 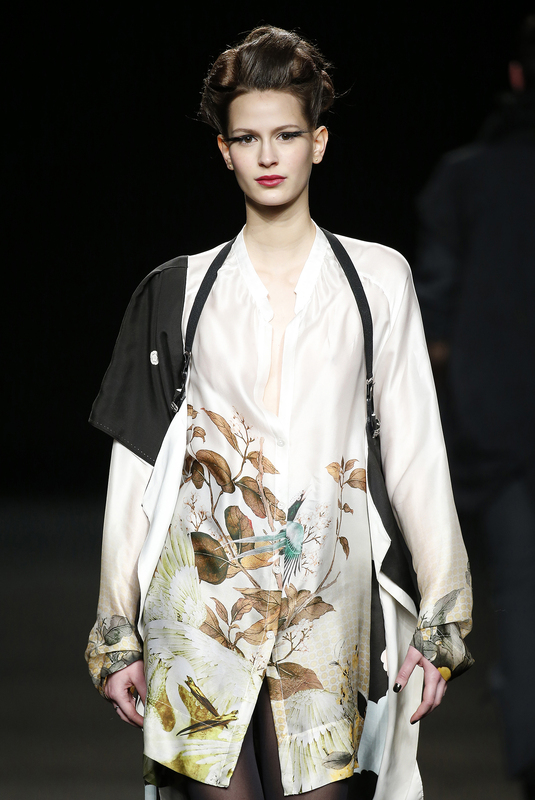 For her dresses and skirts she chose typical Japanese prints (flowers and birds) and added butterfly elements to jackets and pants. 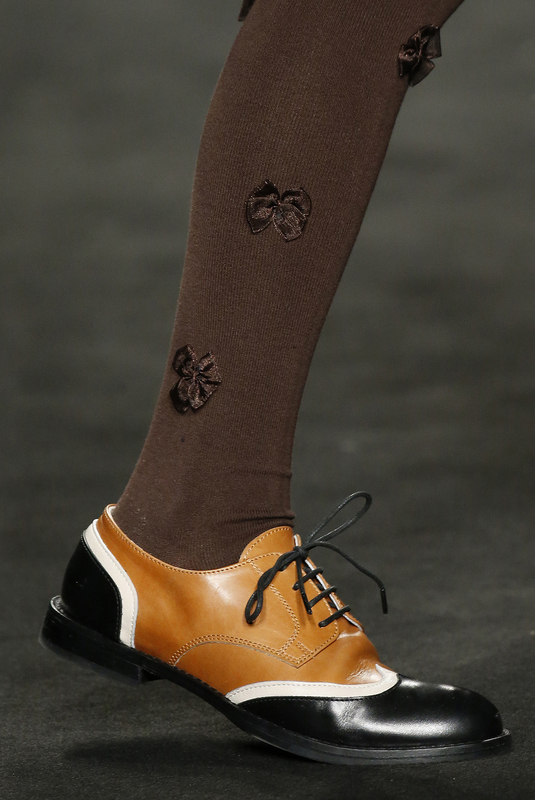 The company was created by two brothers, Pere and Manuel Valls, in 1948 that began manufacturing socks with the brand Punto Blanco. 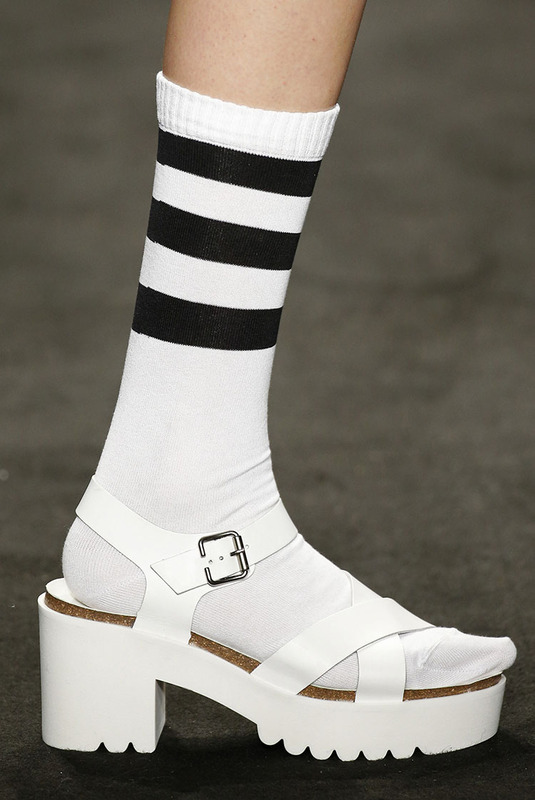 The brand was soon acknowledged for its high quality and innovation and Punto Blanco became the leader of the Spanish socks market. 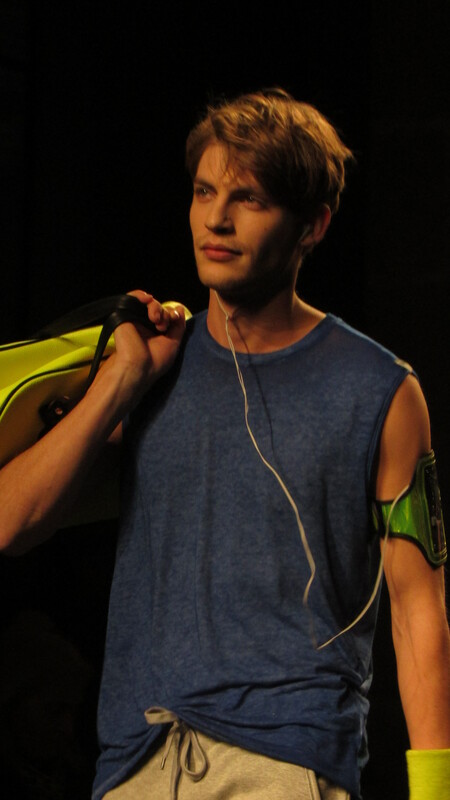 Over the years the brand extended its product range to underwear, sportwear, aquawear and homewear and exports now to more than 35 countries all over the world. 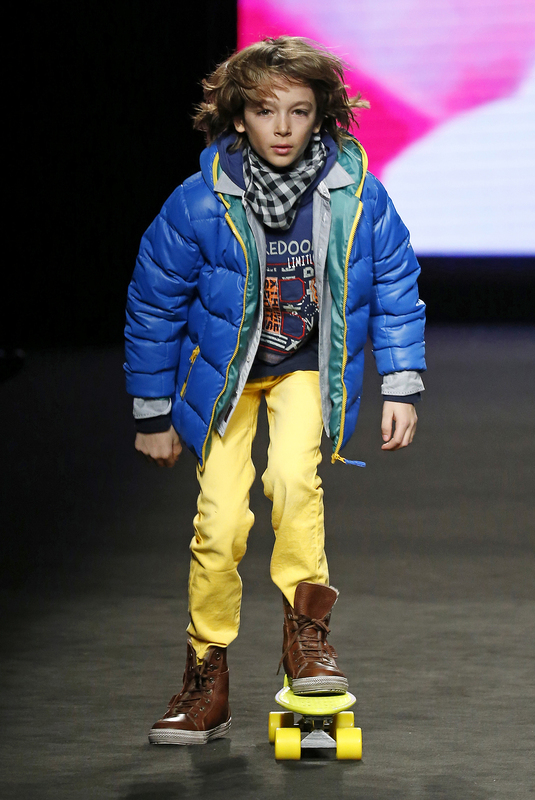 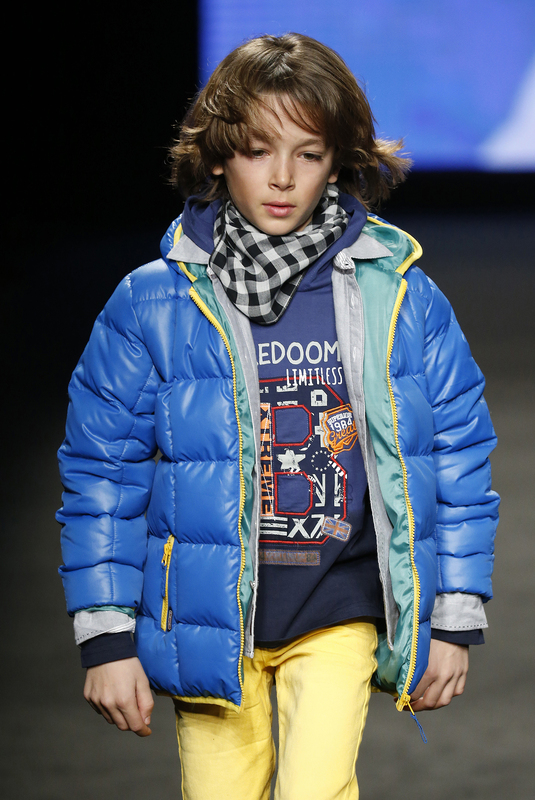 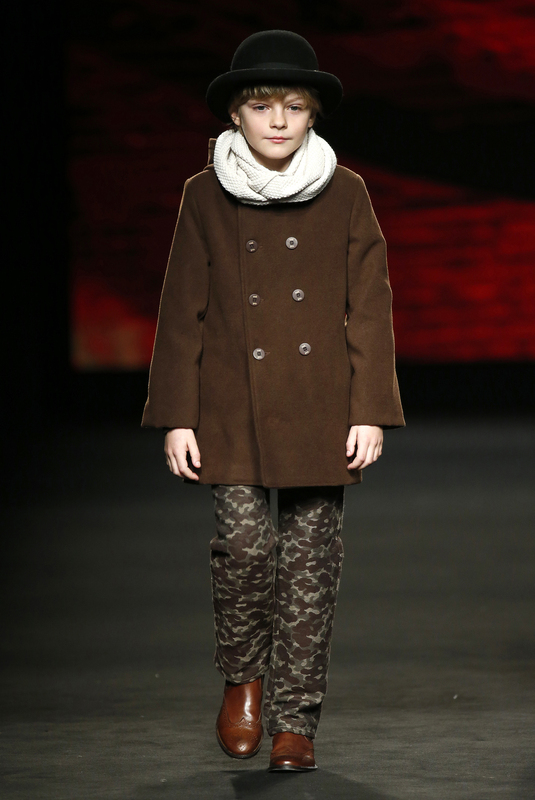 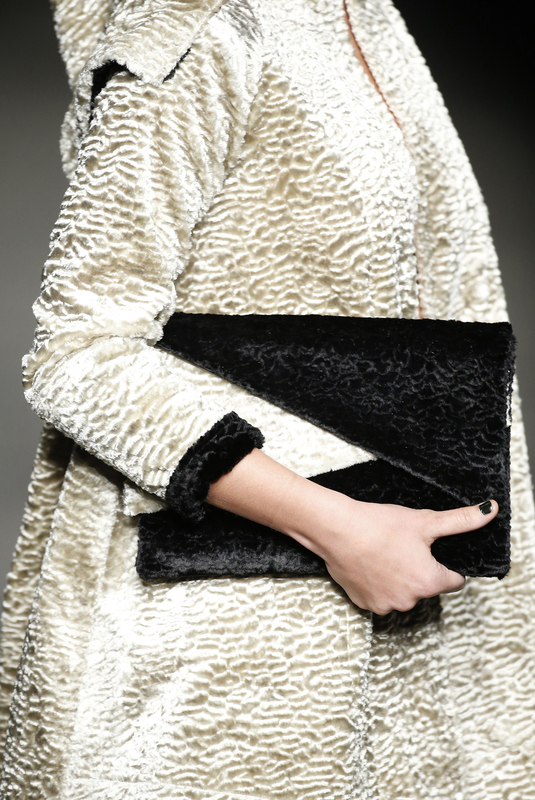 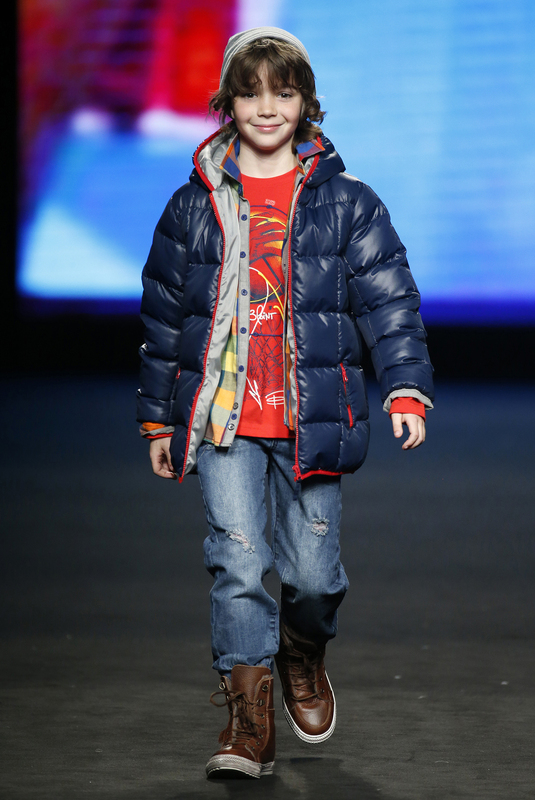 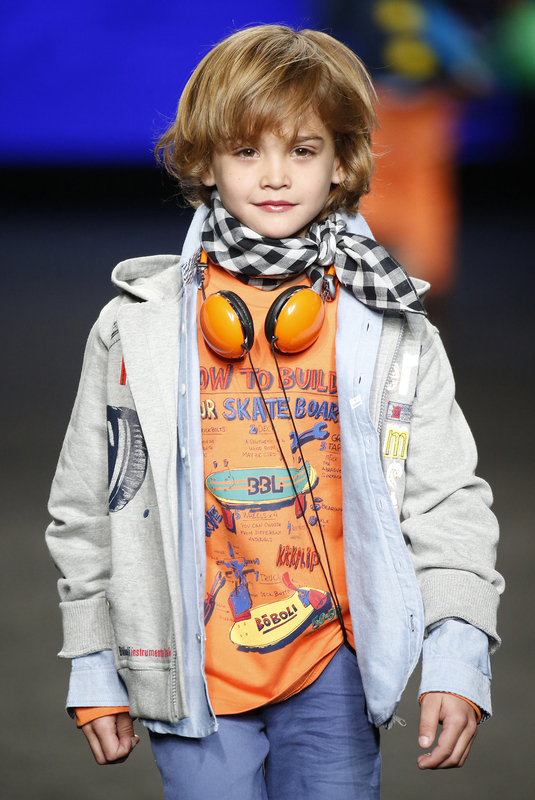 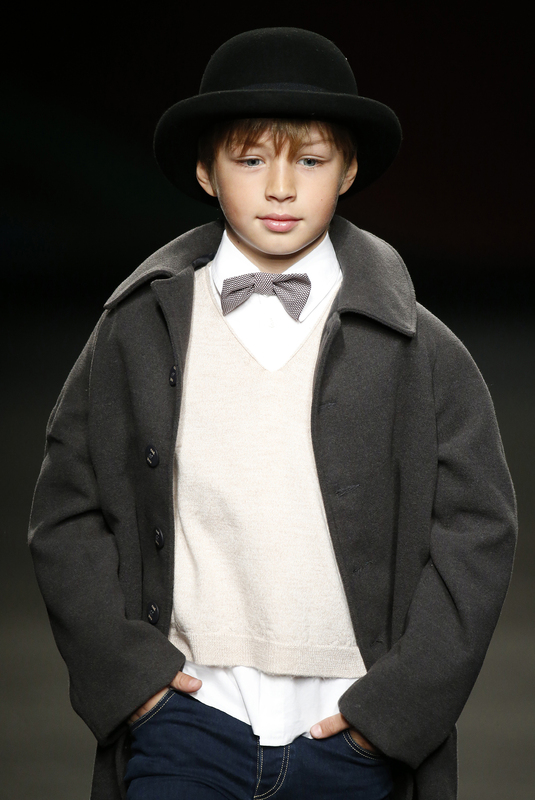 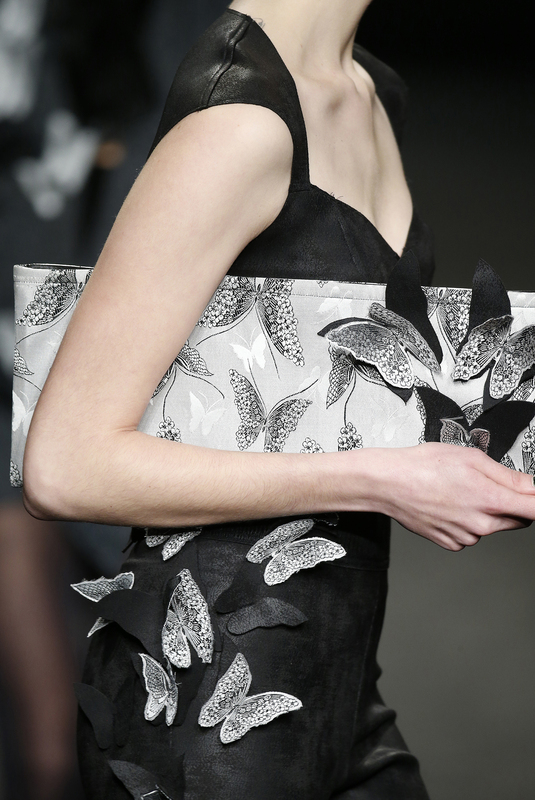 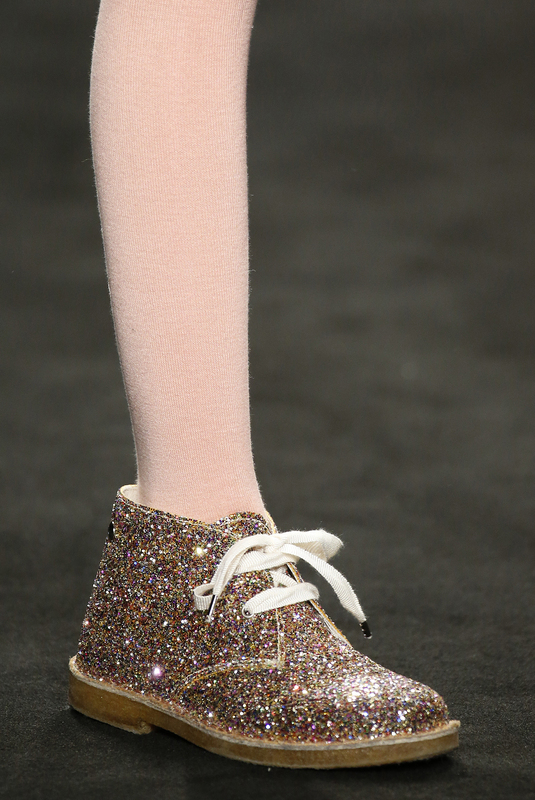 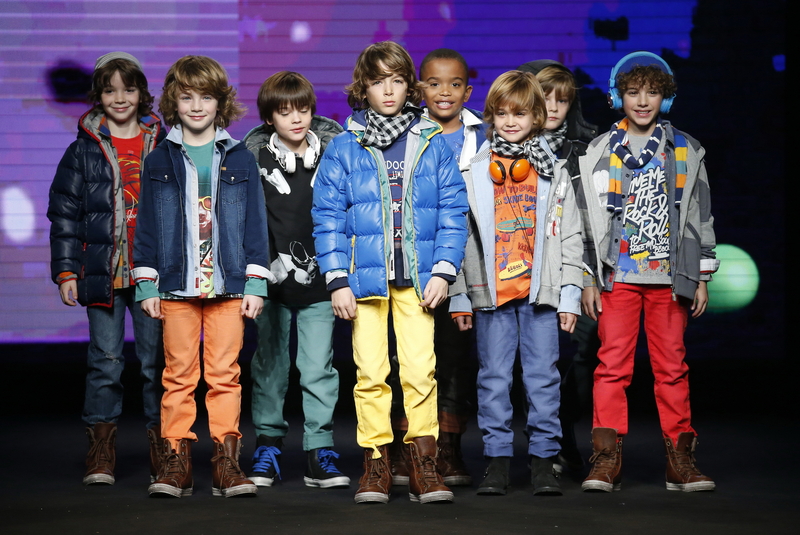 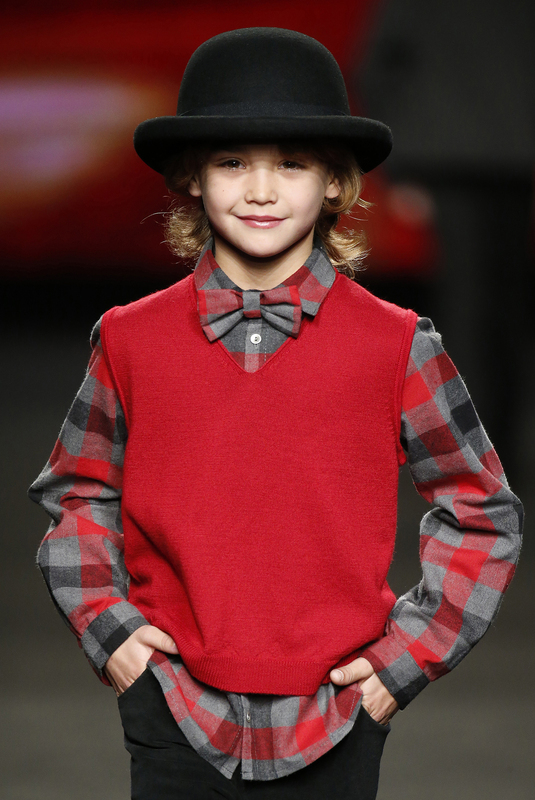 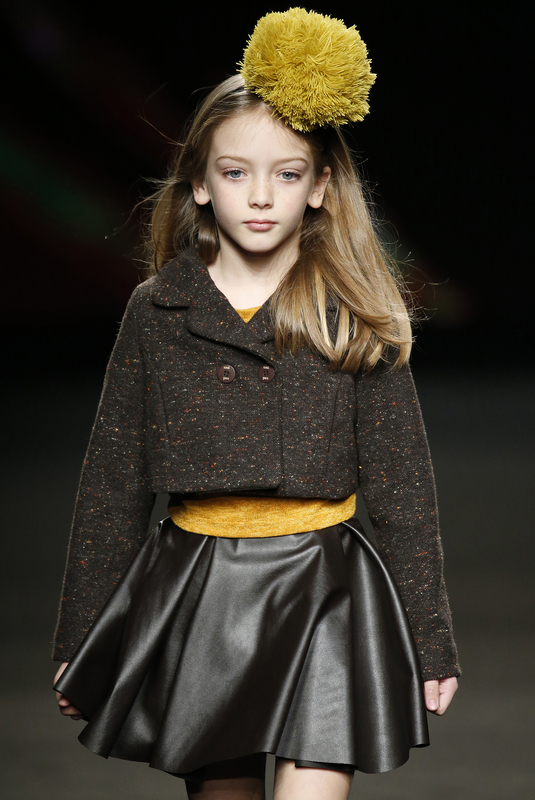 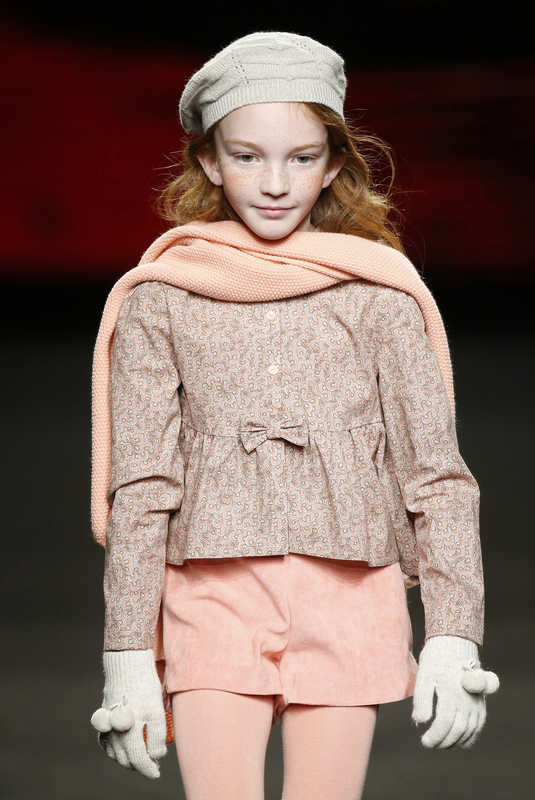 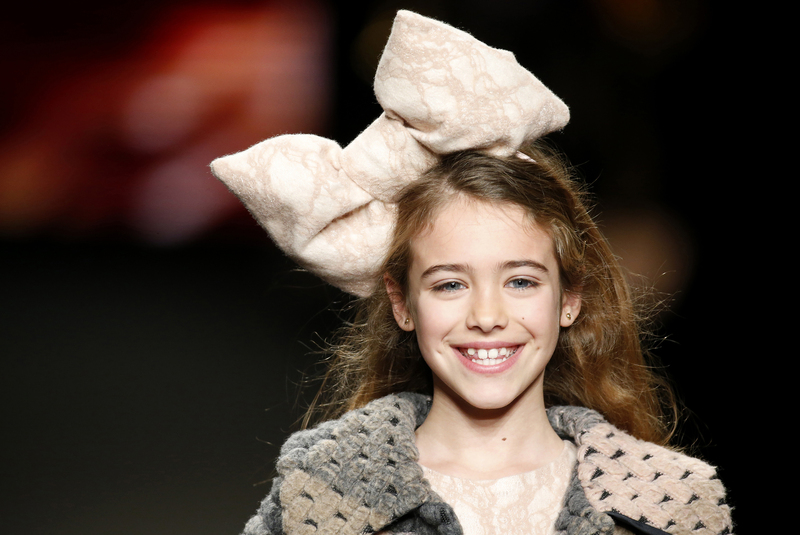 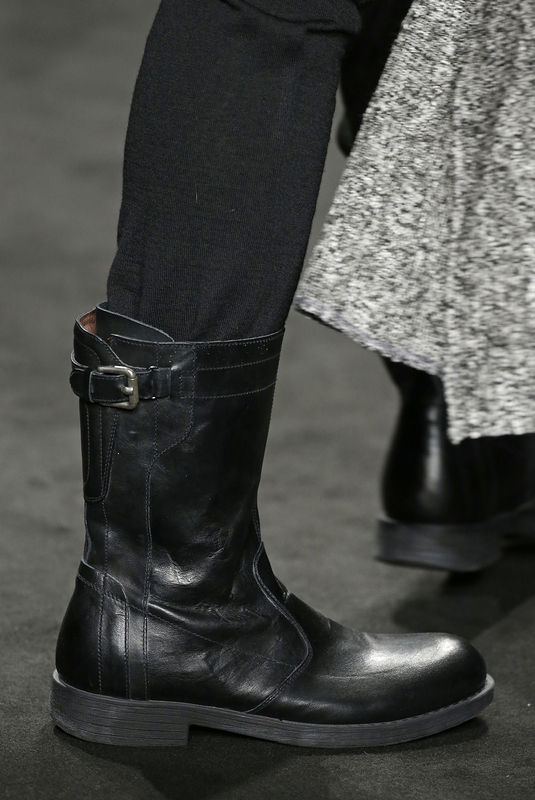 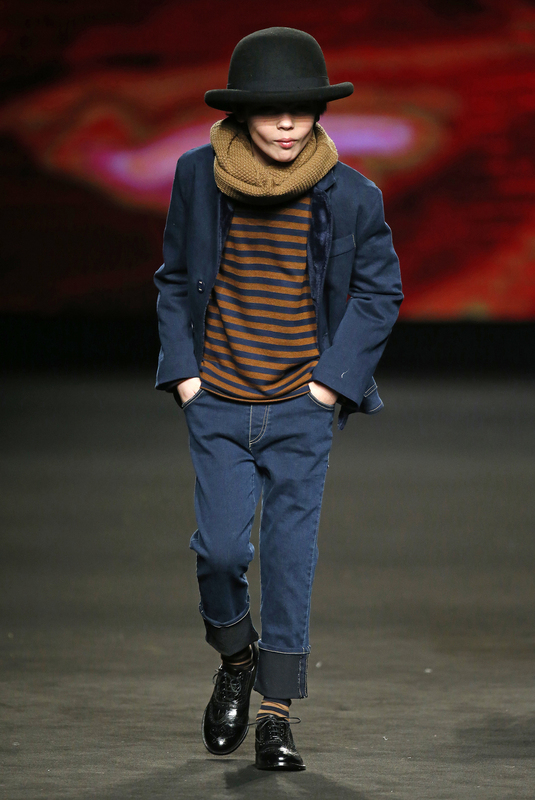 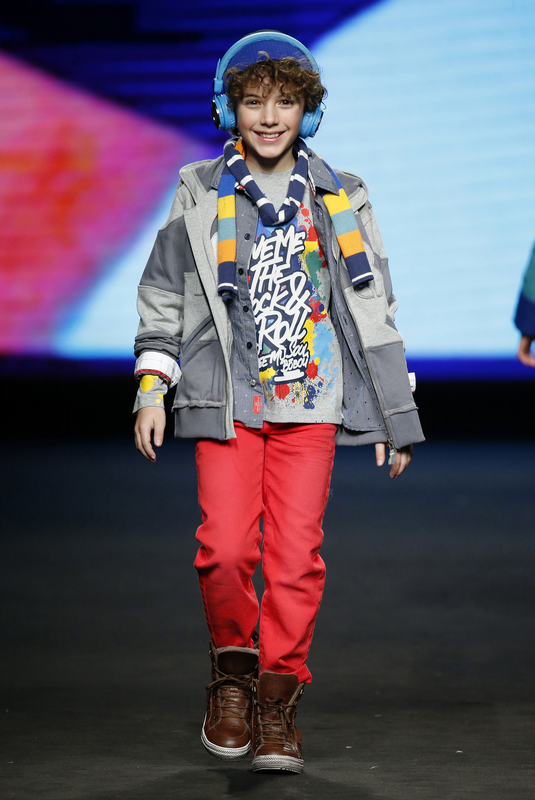 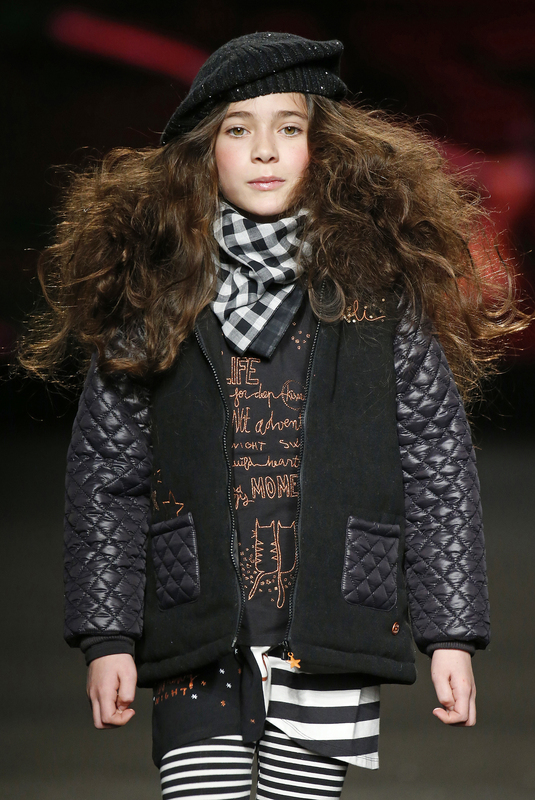 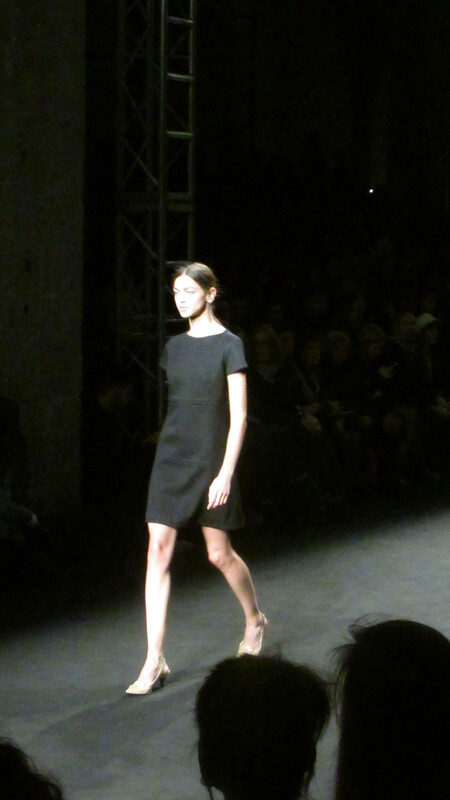 Therefore, the traditional brand plays an important part at the 080 Barcelona Fashion Week. 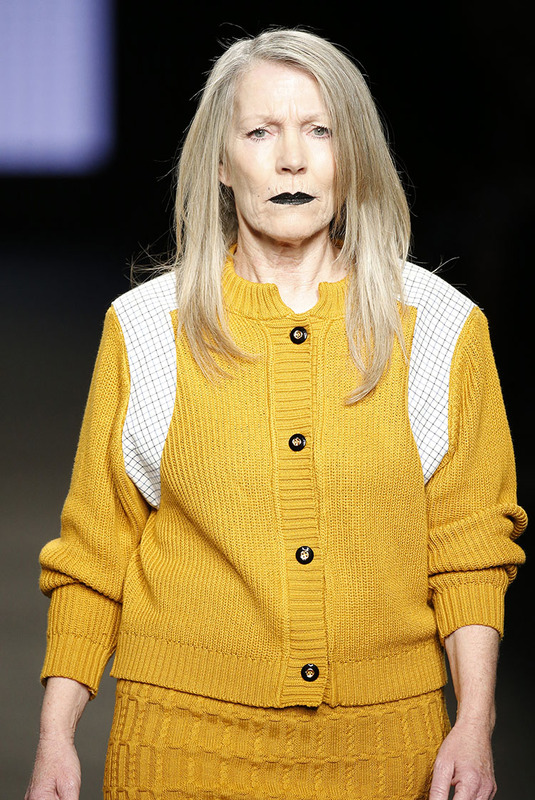 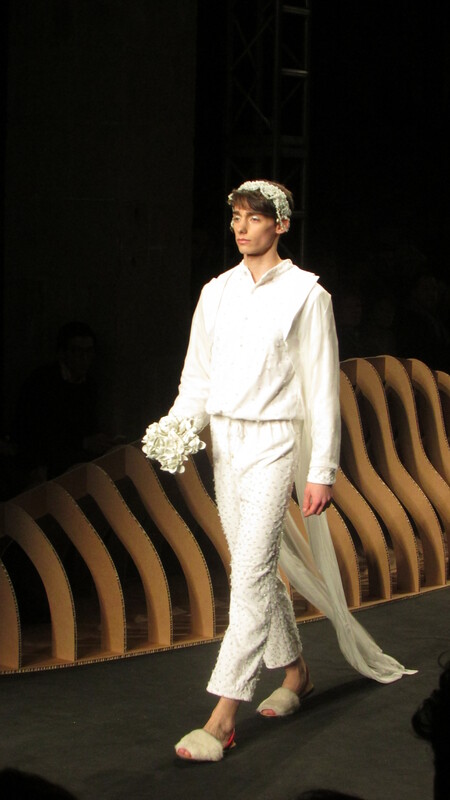 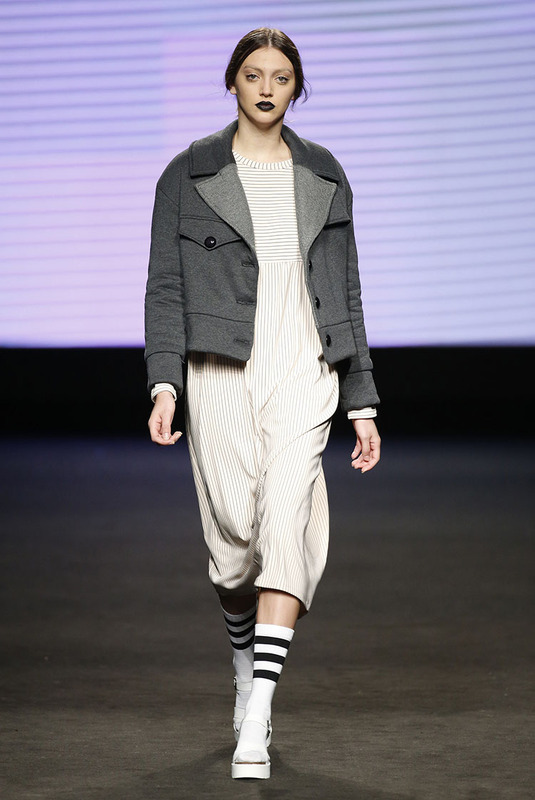 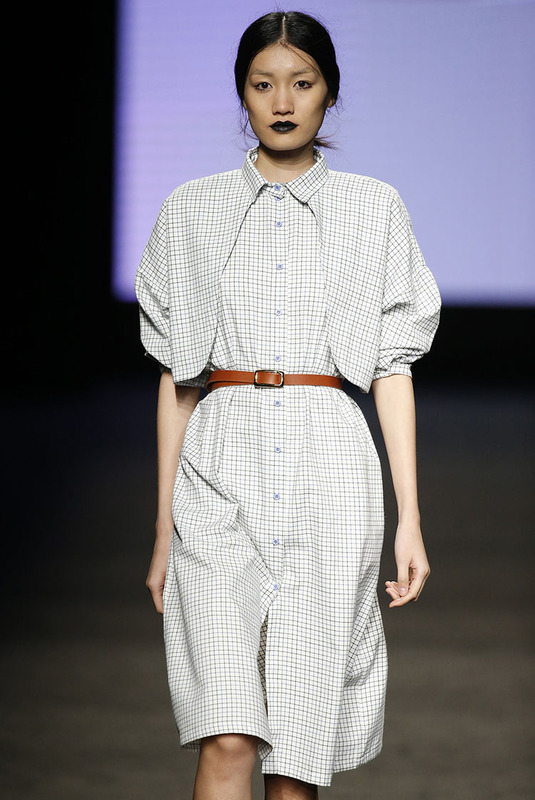 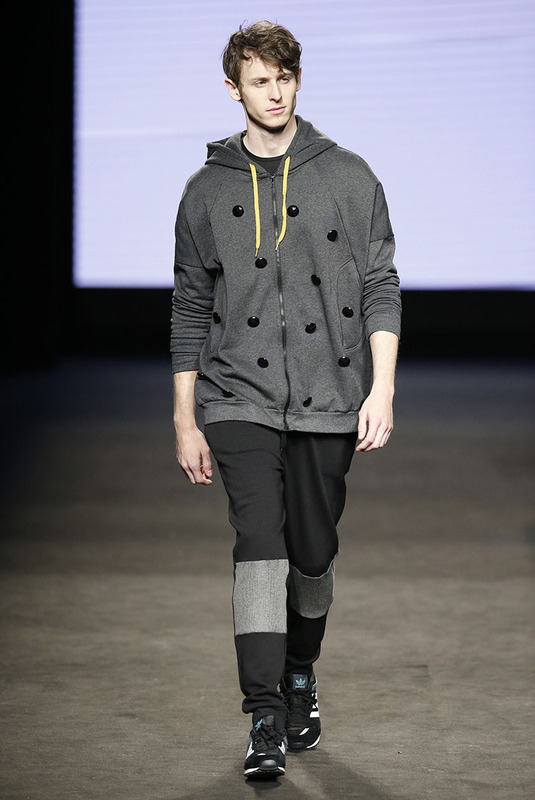 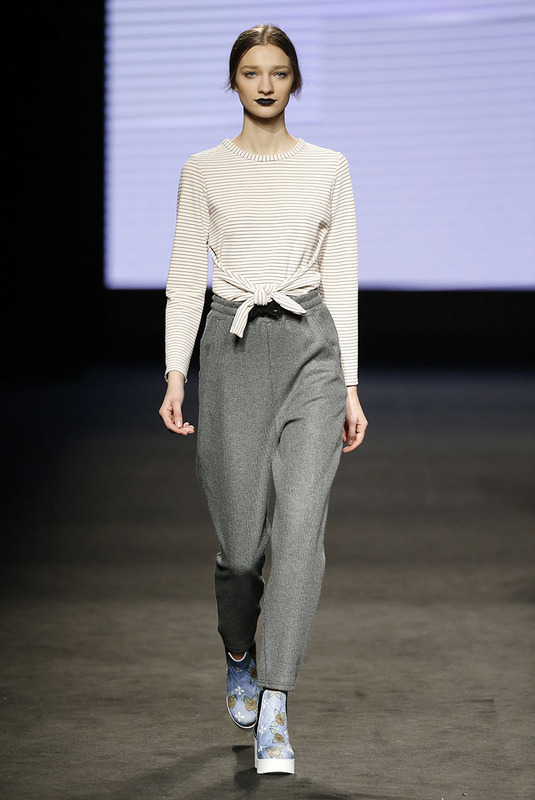 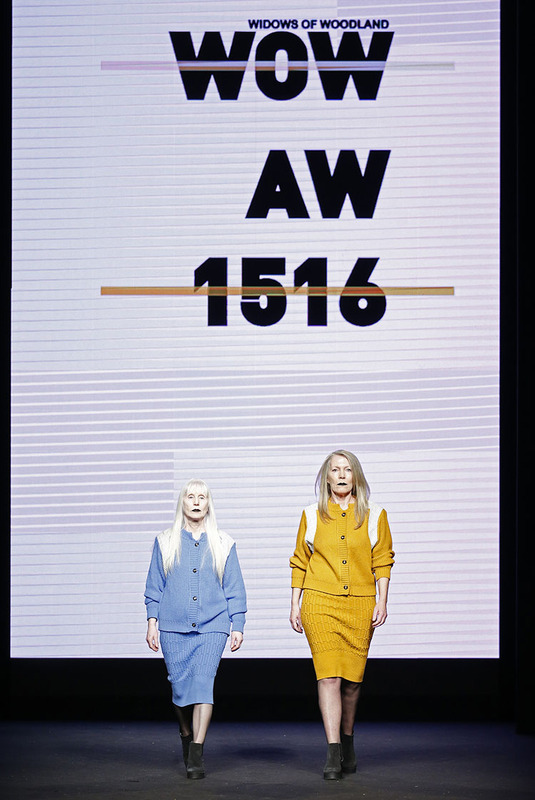 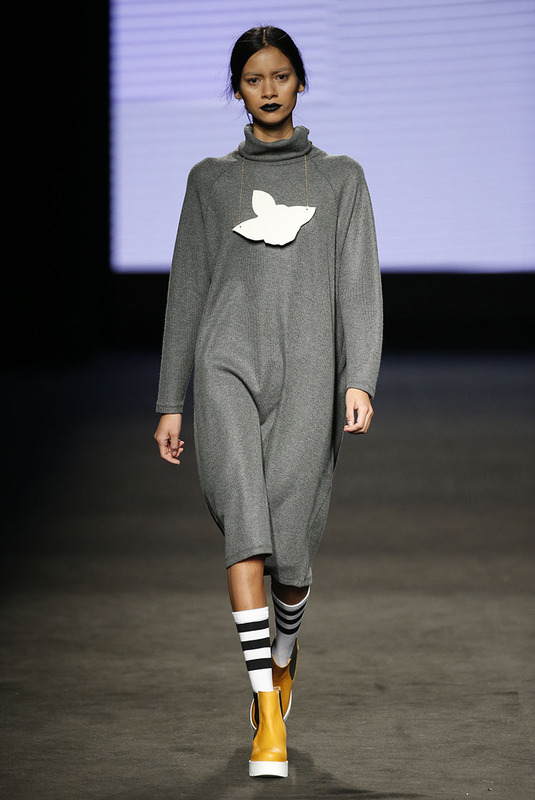 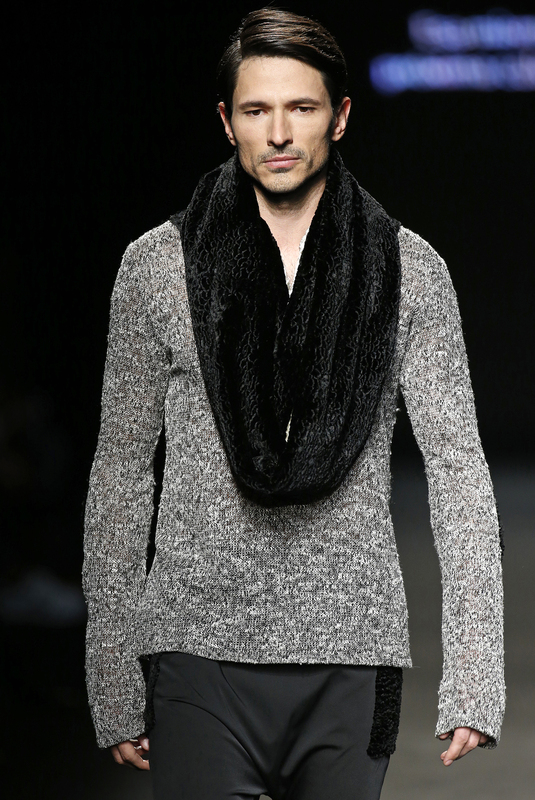 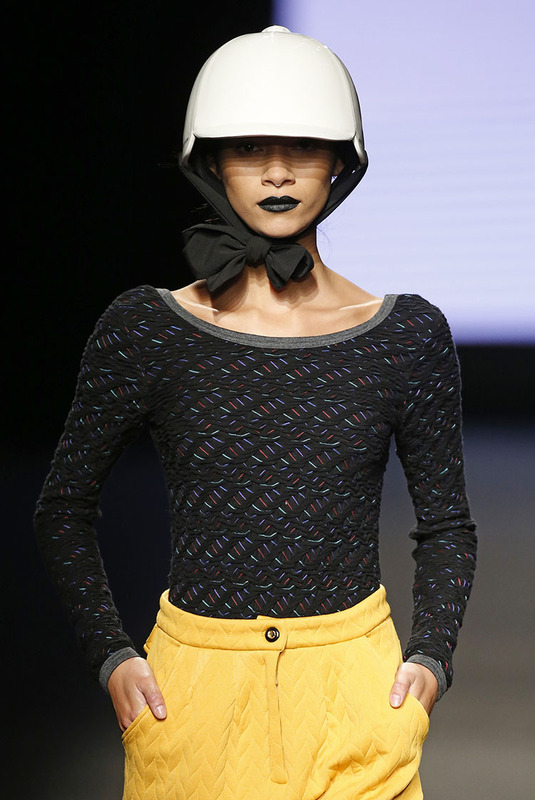 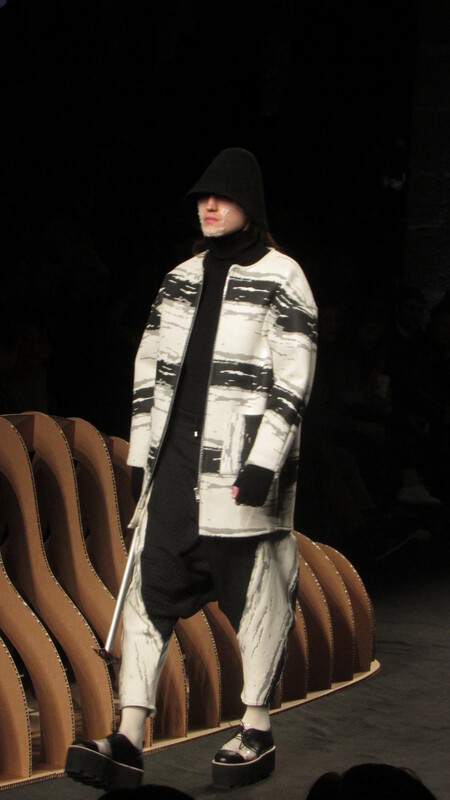 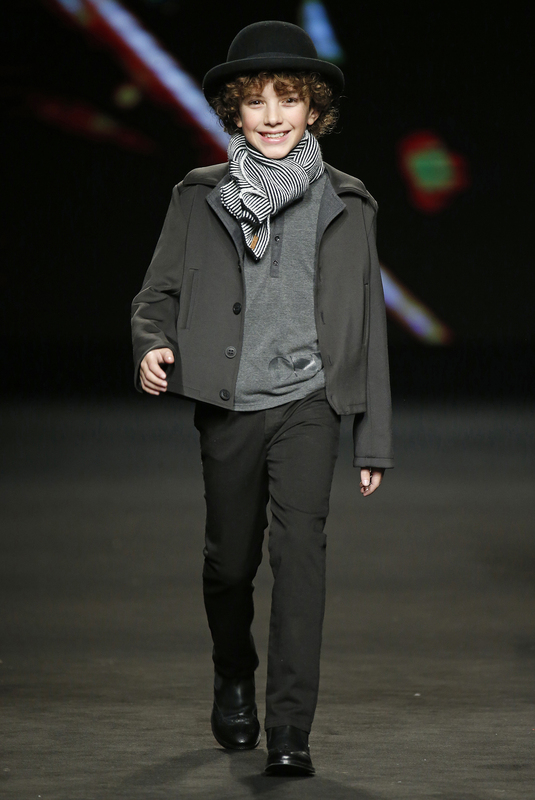 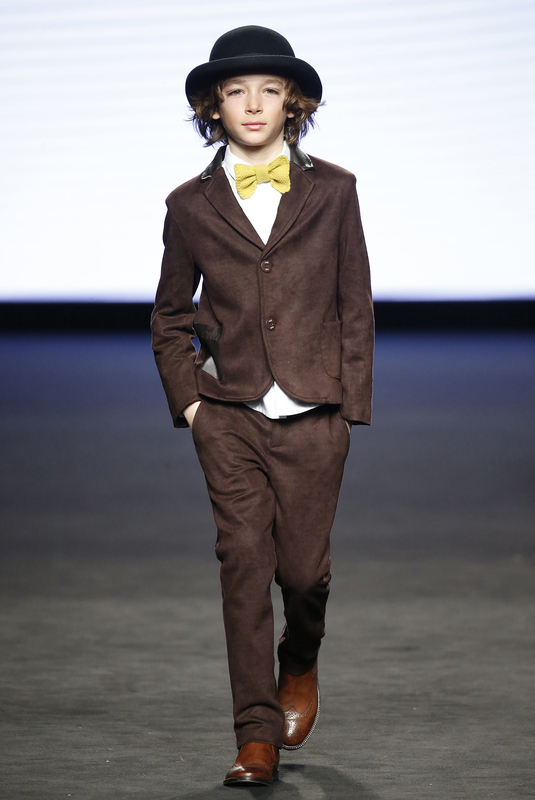 At the 15th bi-annual 080 Barcelona Fashion Show 2015 Punto Blanco presented once again with a lot of enthusiasm its new collection “Connectivity” to the public. 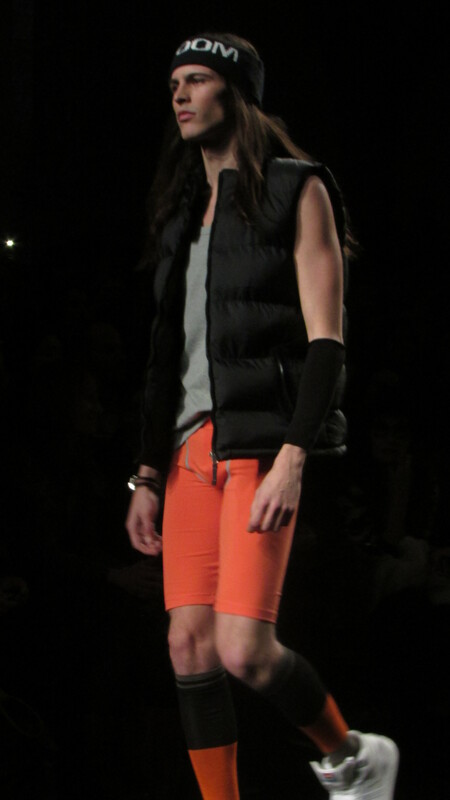 In its latest collection it chose the energetic colors orange and red as well as neon yellow and used comfortable jersey textures and innovative materials. 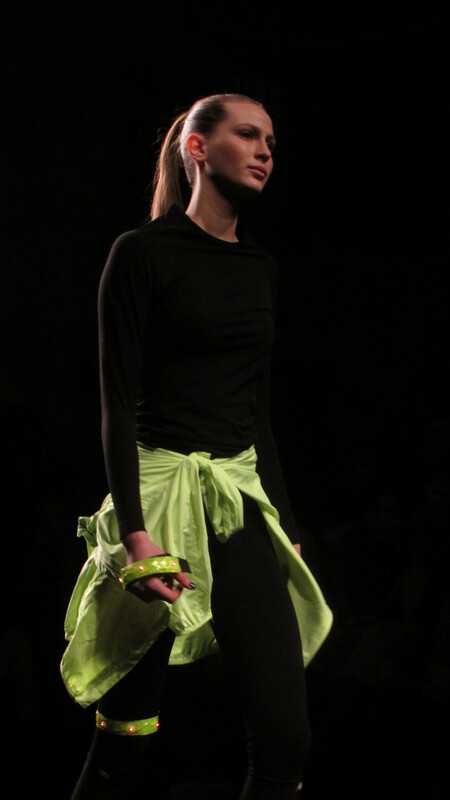 I especially liked the sporty combination of blue and neon yellow! 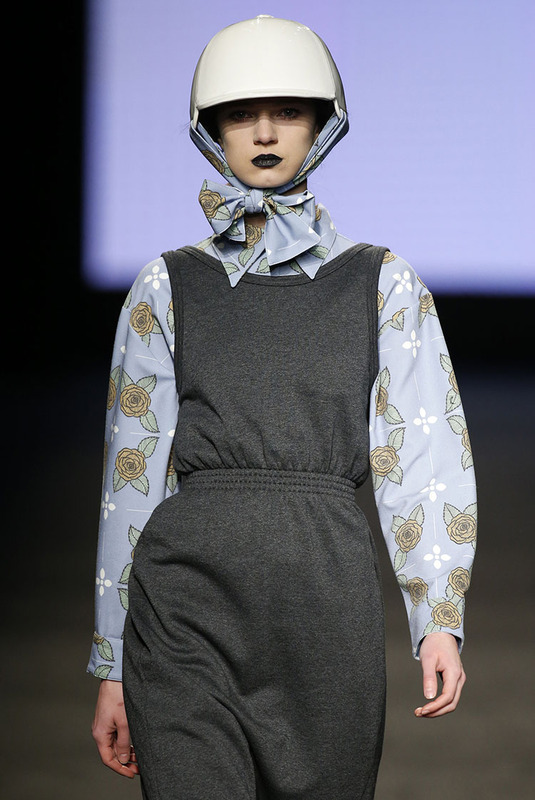 The project of two ambitious designers, who wanted to dress women loaded with personal stories made it for the first time to the catwalk of 080 Barcelona Fashion Week with her collection “WOW – Widows of Woodland”. 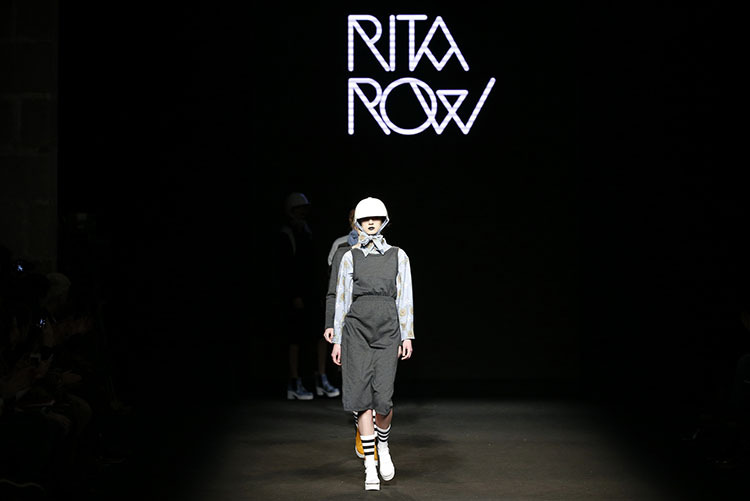 Rita Row sees itself as a slow fashion spirit brand with Mediterranean flavor. 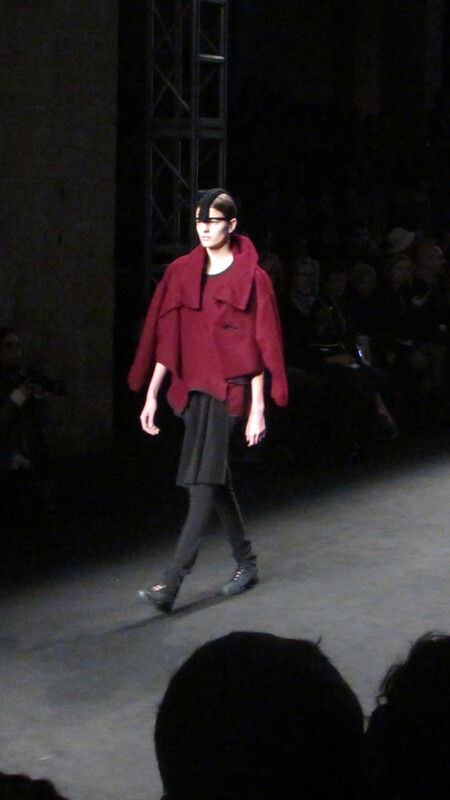 Each garment is produced in local workshops around Barcelona and is 100% handmade. 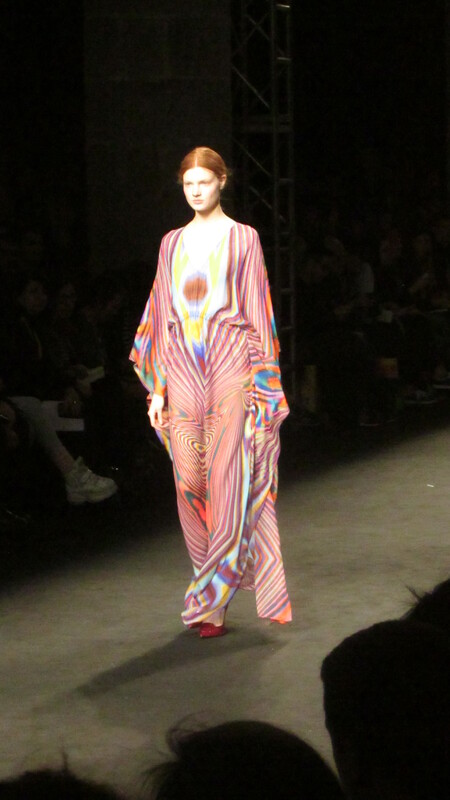 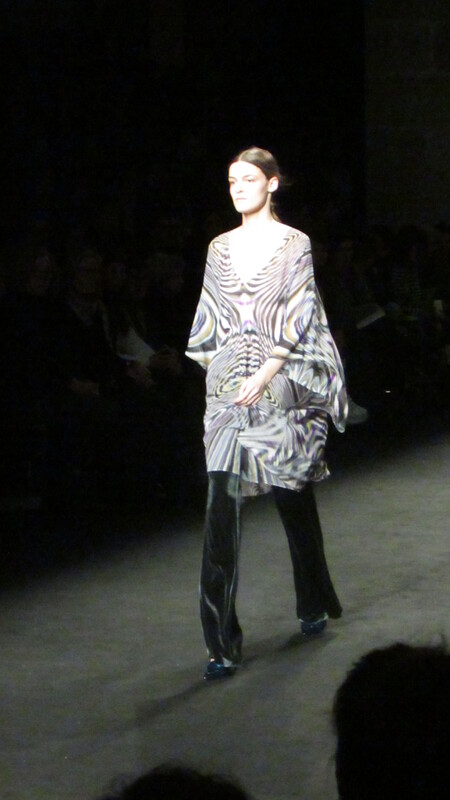 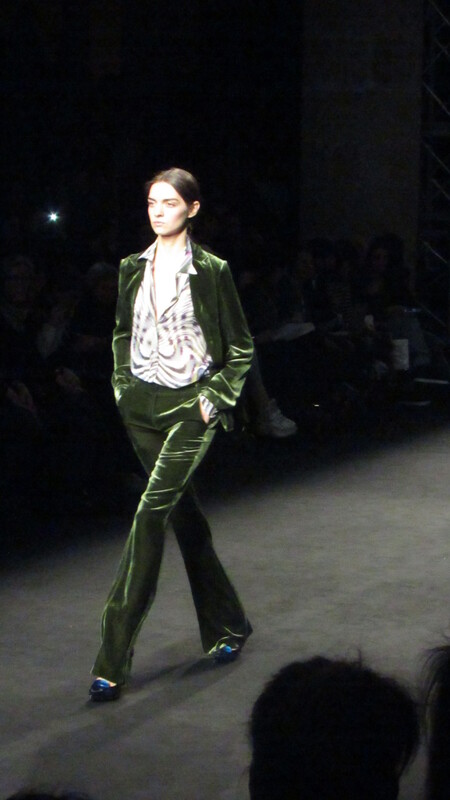 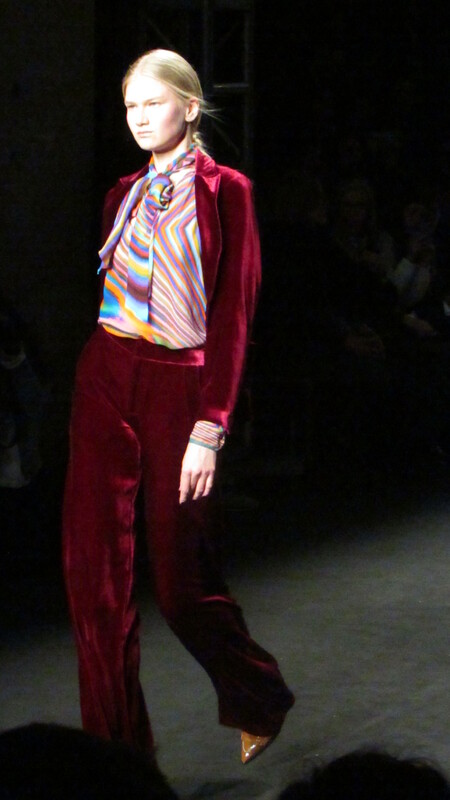 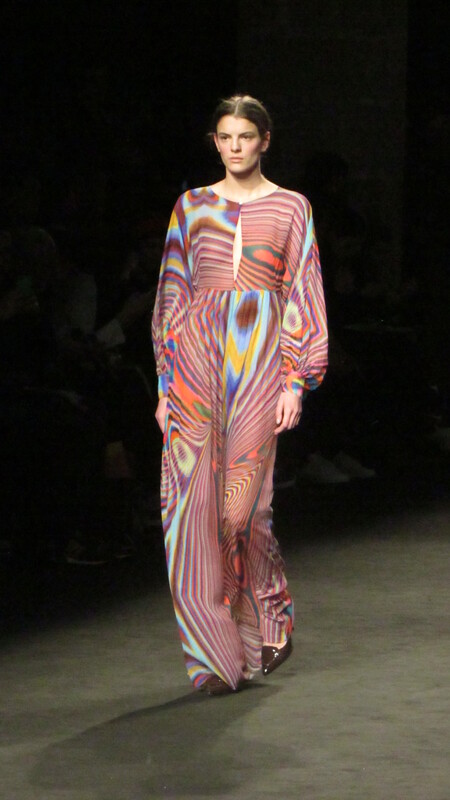 Lebor Gabala’s new collection “Opposites Attract” was inspired by the sixties look and the hippie movement. 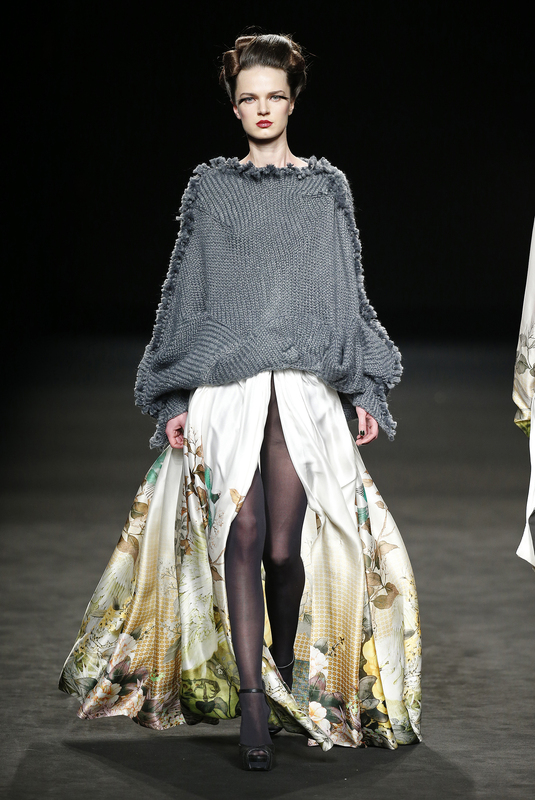 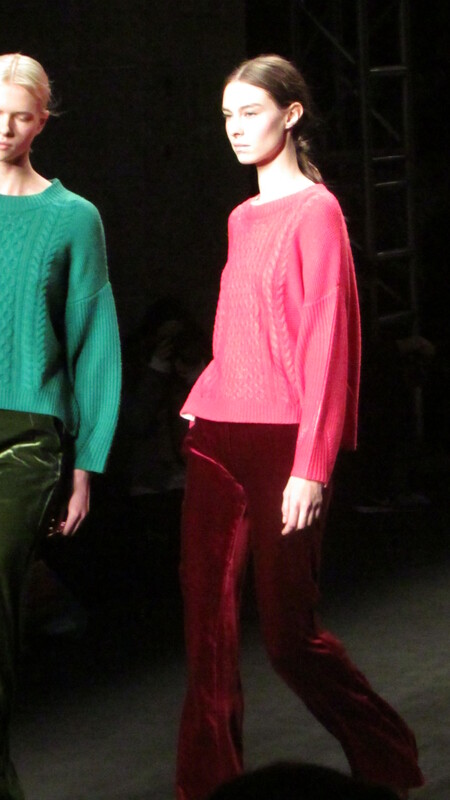 Very short or very long skirts and dresses combined with thick knit sweaters and gauzy chiffon garments. 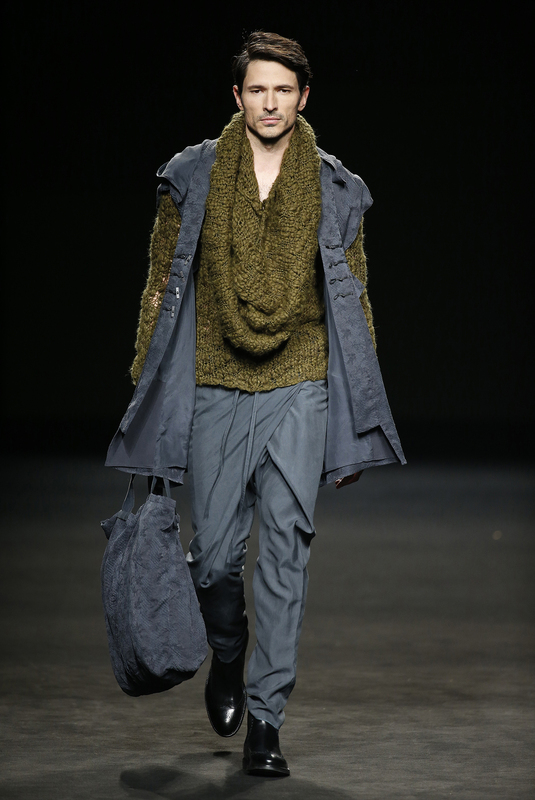 Urban clothing with rustic finishes and silk mixed with sportswear, a collection of contrasts that moved between opposing ideas. 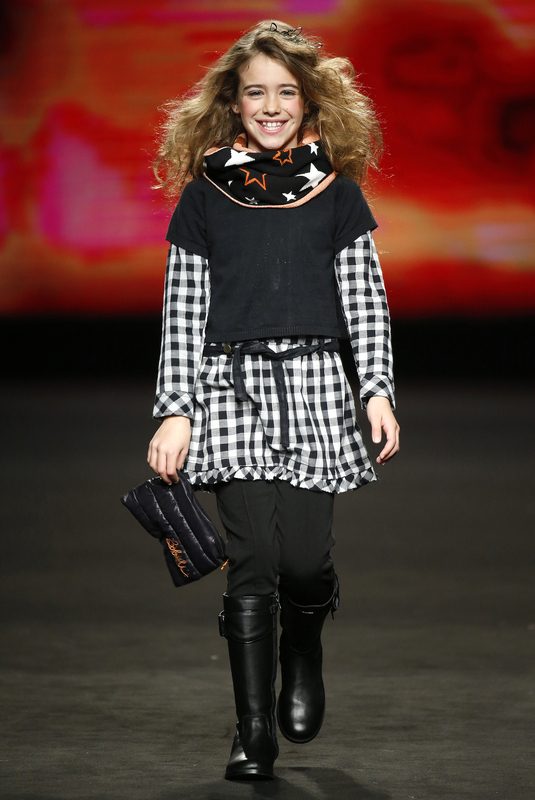 A collection to fall in love with!